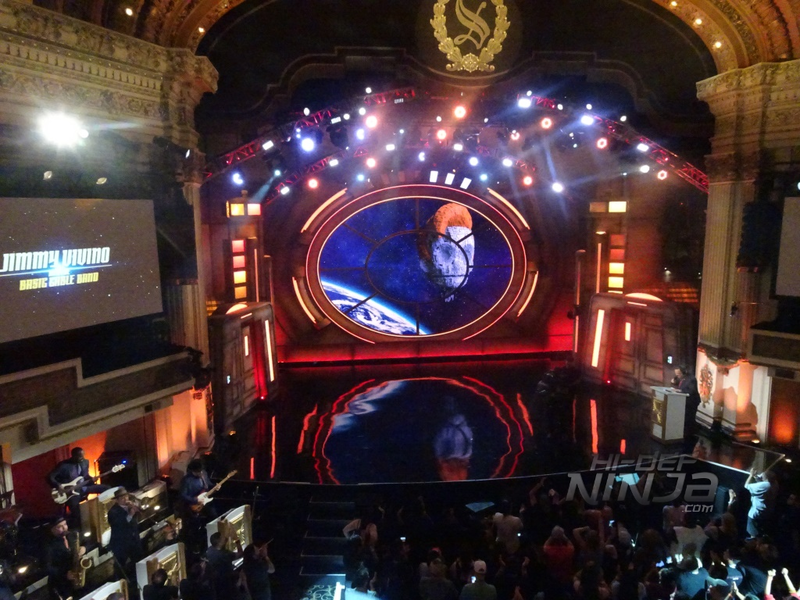 Each year there are so many things to do it becomes impossible to cover them all. 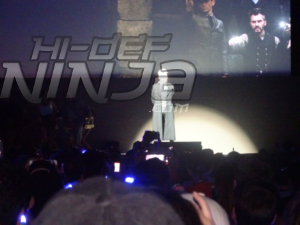 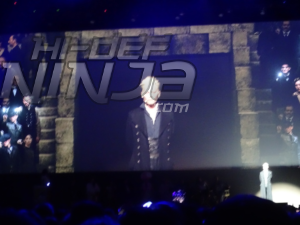 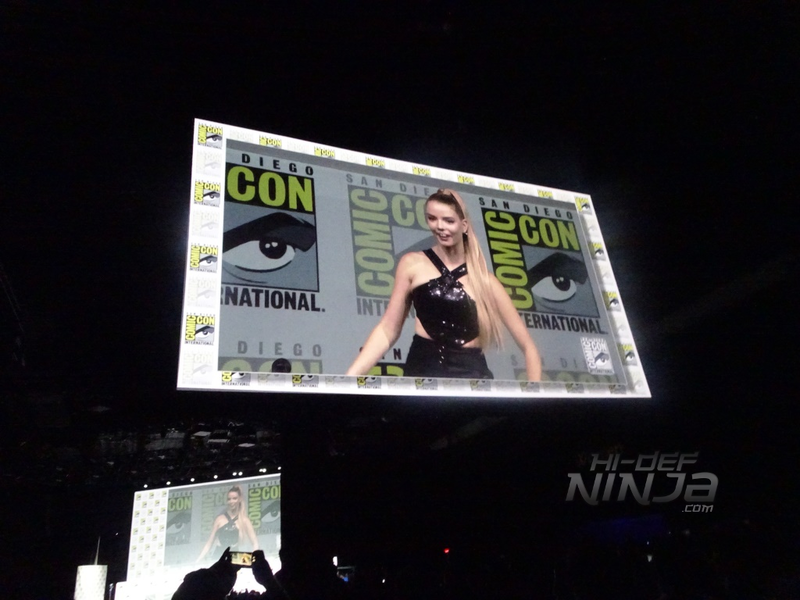 This year I spent a significant amount of time on the show floor wandering aimlessly. 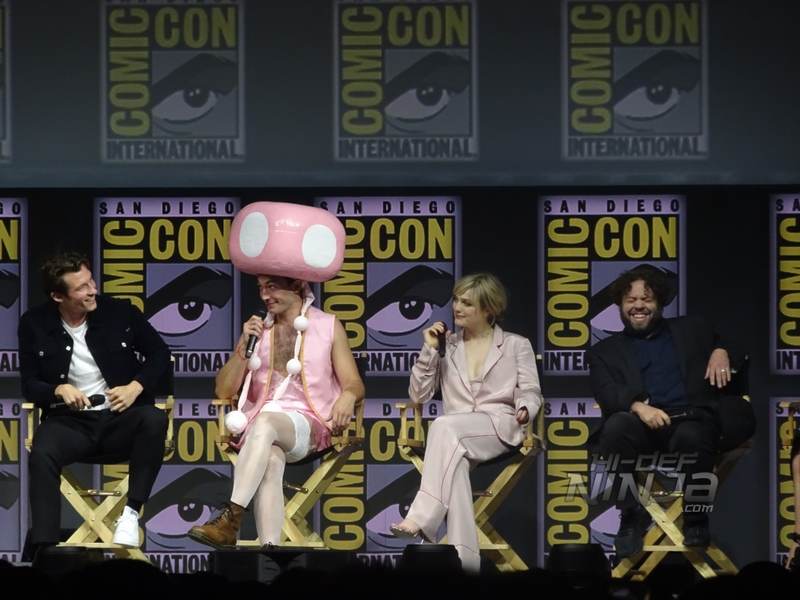 However part of any good convention is the content it brings in the form of panels. 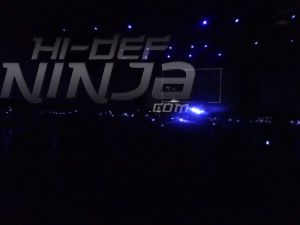 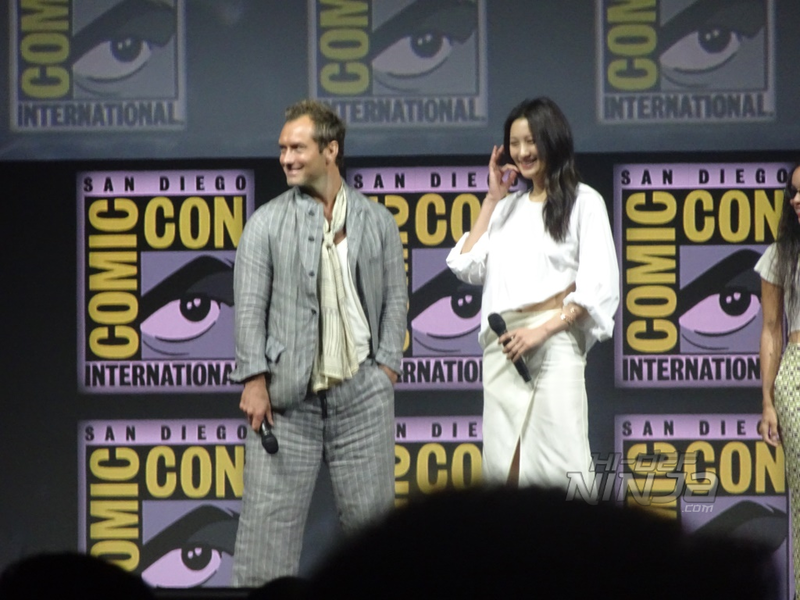 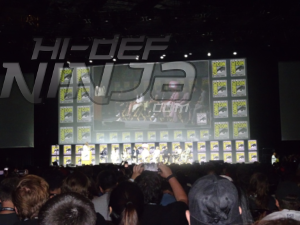 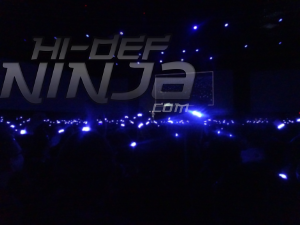 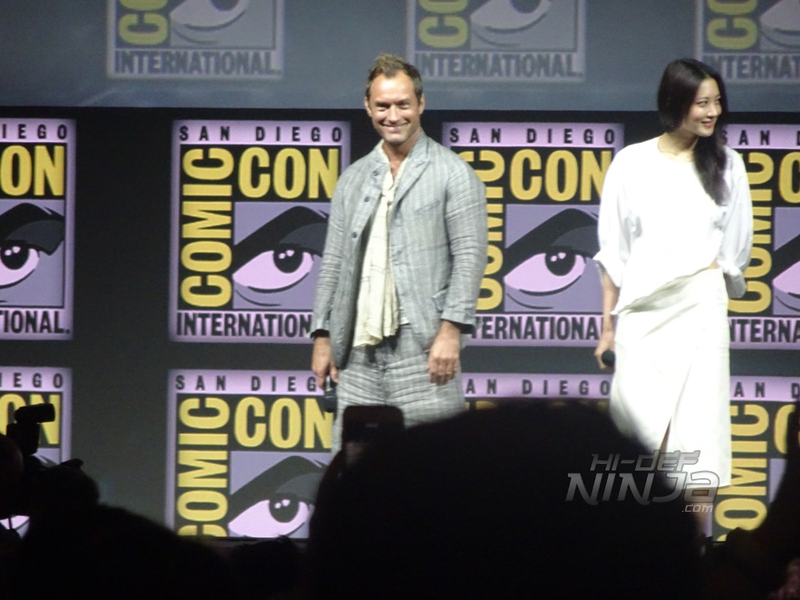 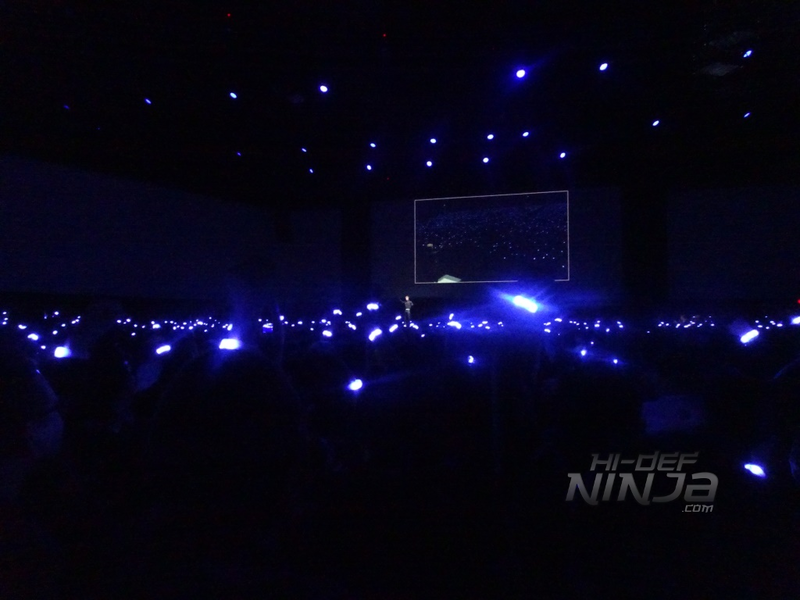 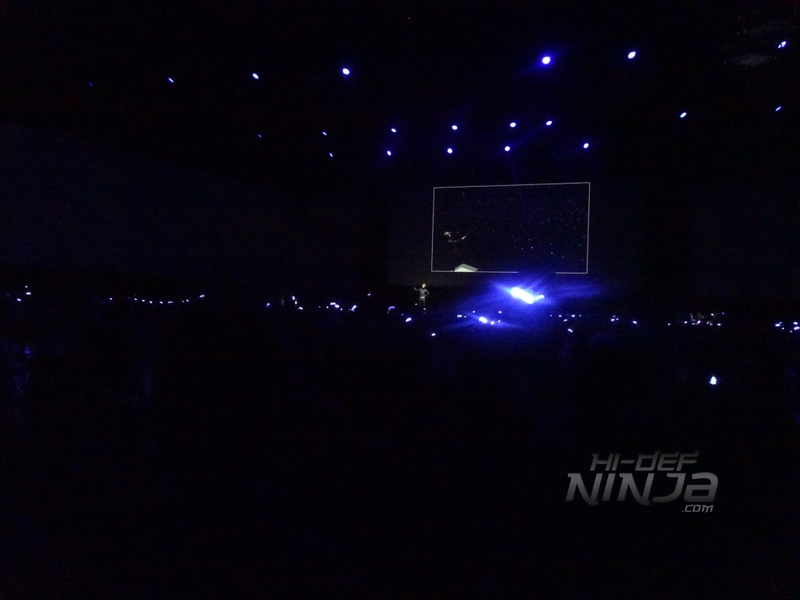 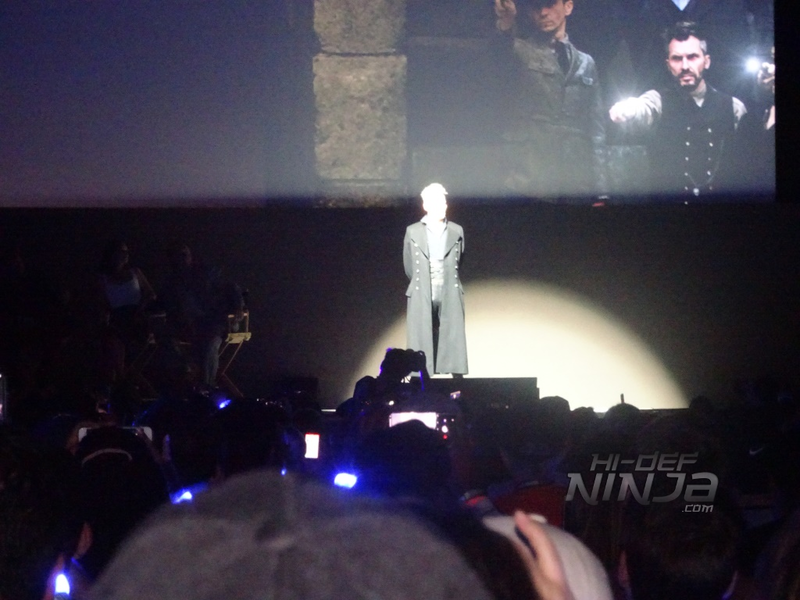 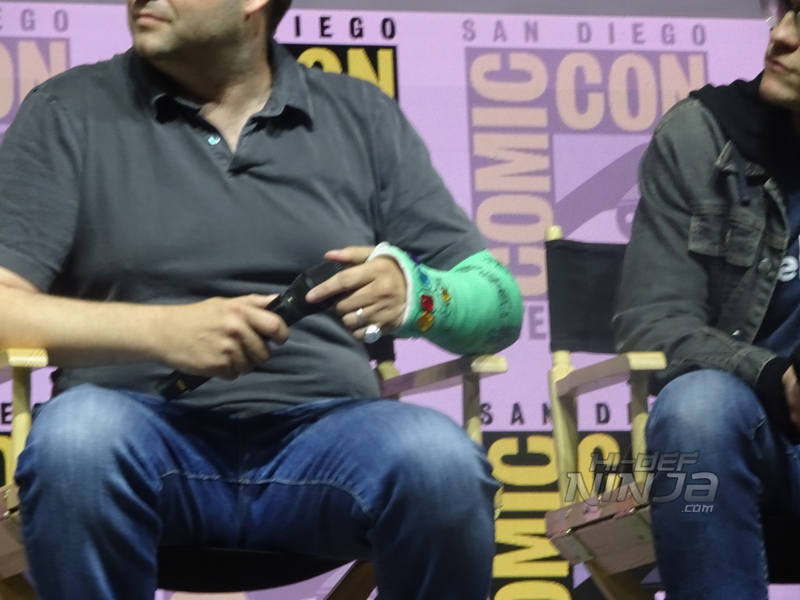 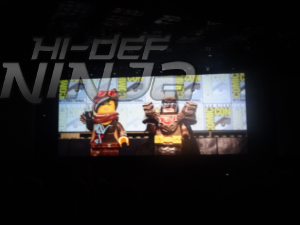 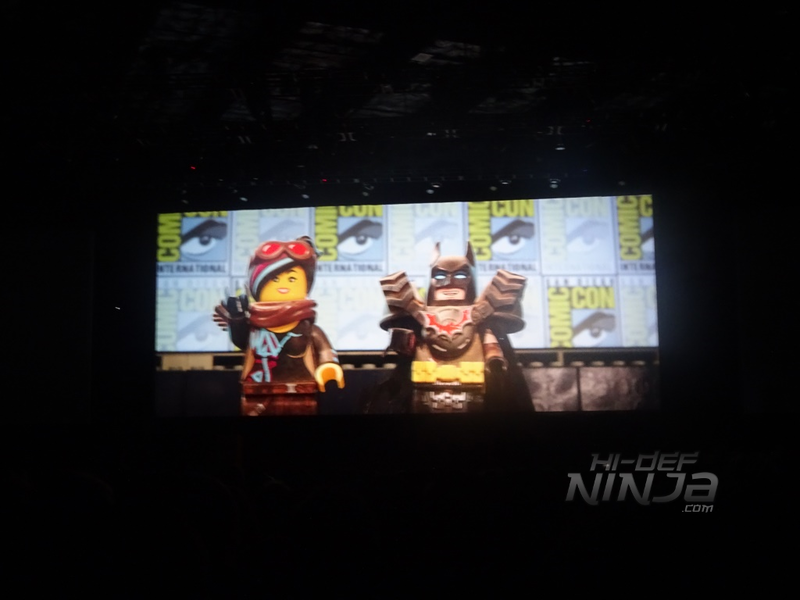 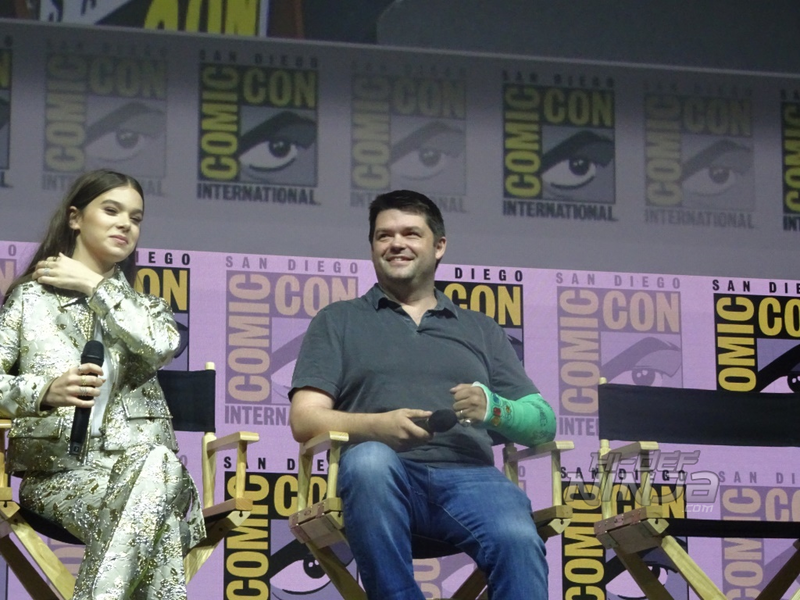 This year was a bit odd in that both Marvel and HBO decided that they were going to skip the annual convention however DC/WB, Paramount, Sony, BBC America, AMC, were still at the show along with hundreds of hours of content from costume making and blogger panels through plenty of comic discussions keeping the comic in comic-con true to form. In years past I’ve put hours of line time to be able to sit at the front of Hall H on Saturday but this year was a welcome surprise that long hours were not needed to enjoy the more popular panels in Hall H. This allowed me to get into the panel room on both Friday and Saturday for portions of the day to enjoy some of the panels I was most looking forward to. 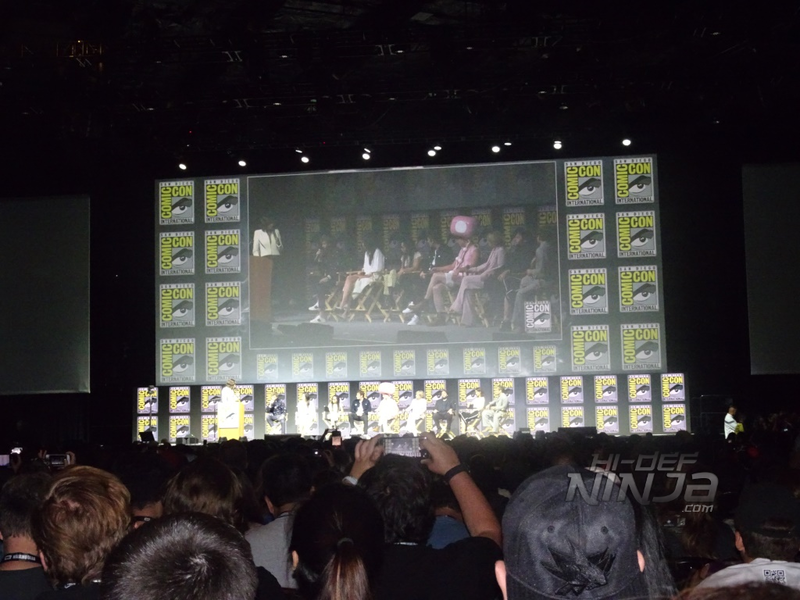 This year I was able to enjoy the Universal Pictures Glass and Halloween, Sony’s Spider-Man: Into the Spider Verse and Venom on Friday and the WB Block of Fantastic Beasts: The Crimes of Grindewald and The Lego Movie 2: The Second Part on Saturday. 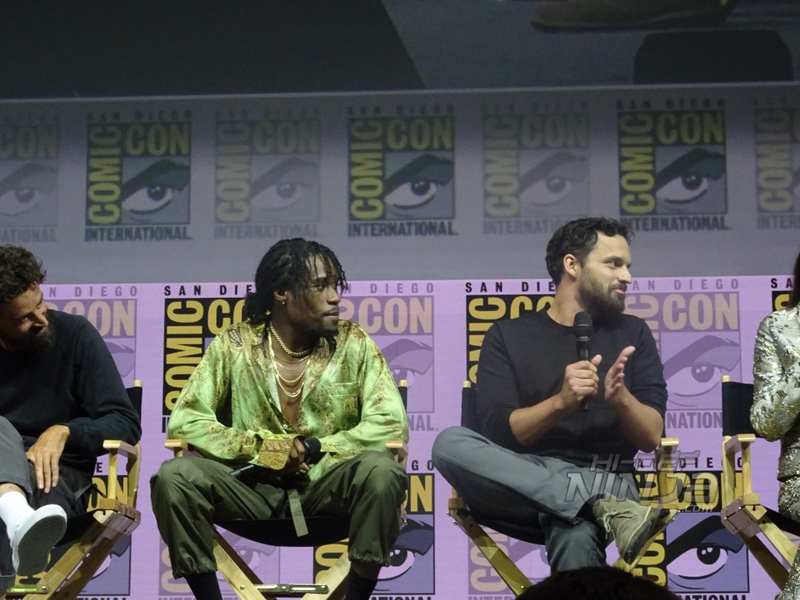 Although I was not able to attend this year I heard the AMC block of shows including Fear the Walking Dead, The Walking Dead, and Preacher were especially good. 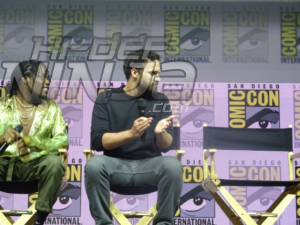 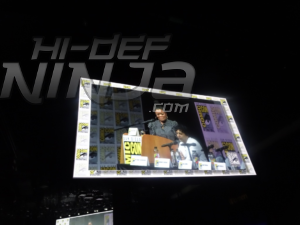 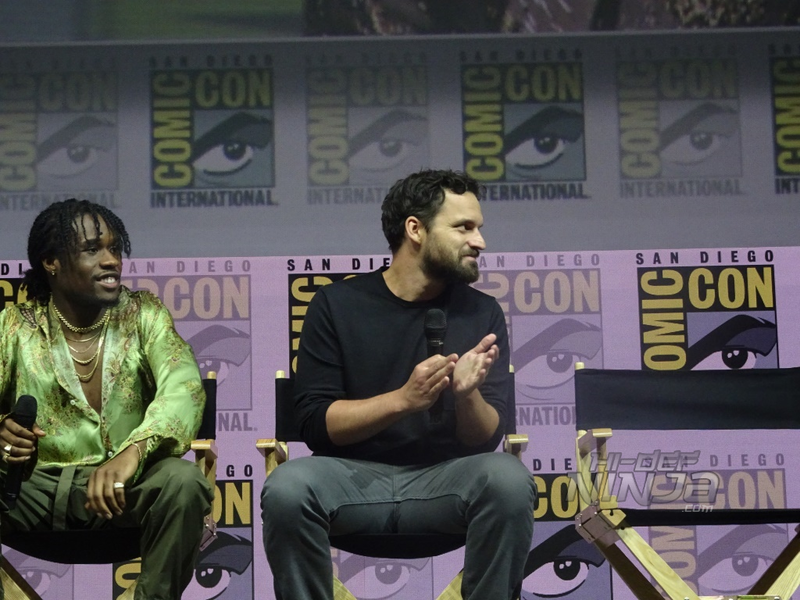 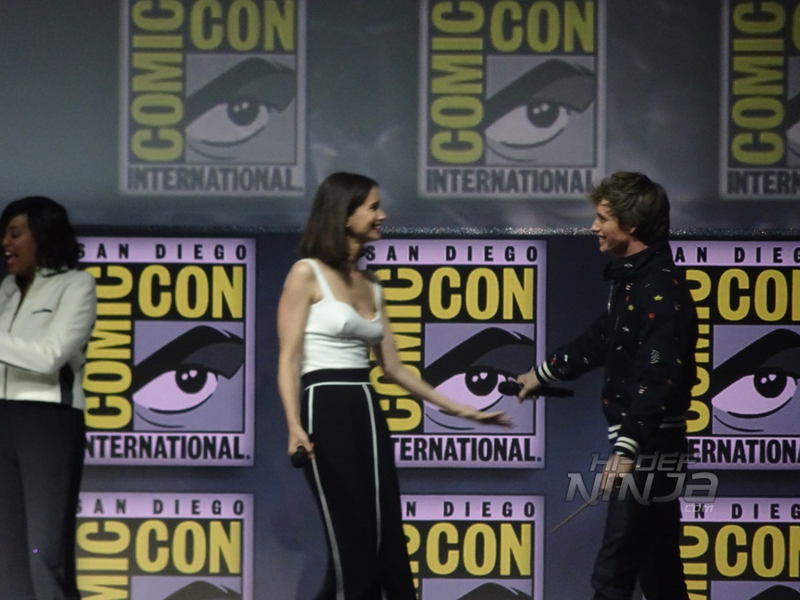 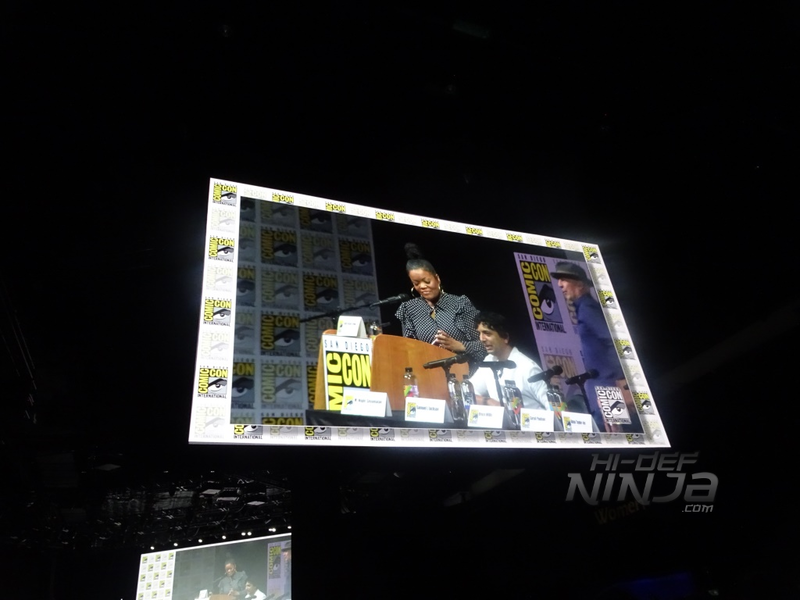 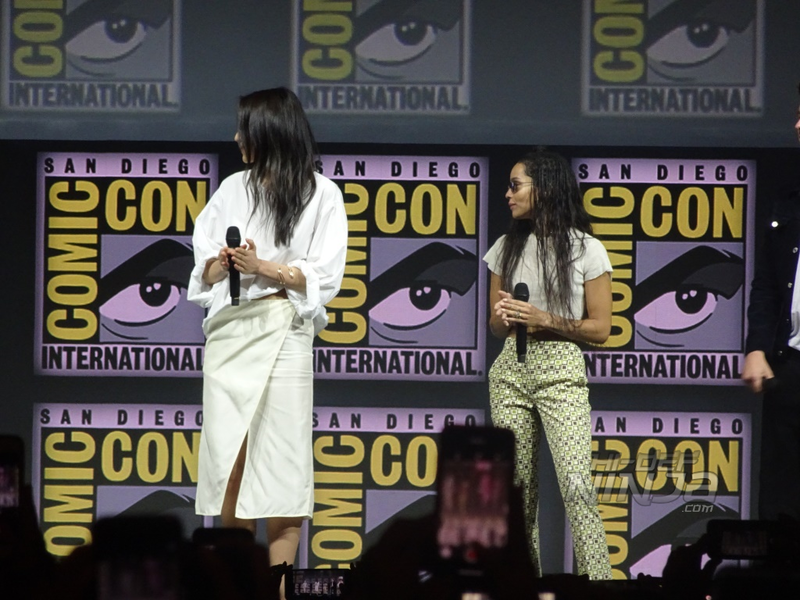 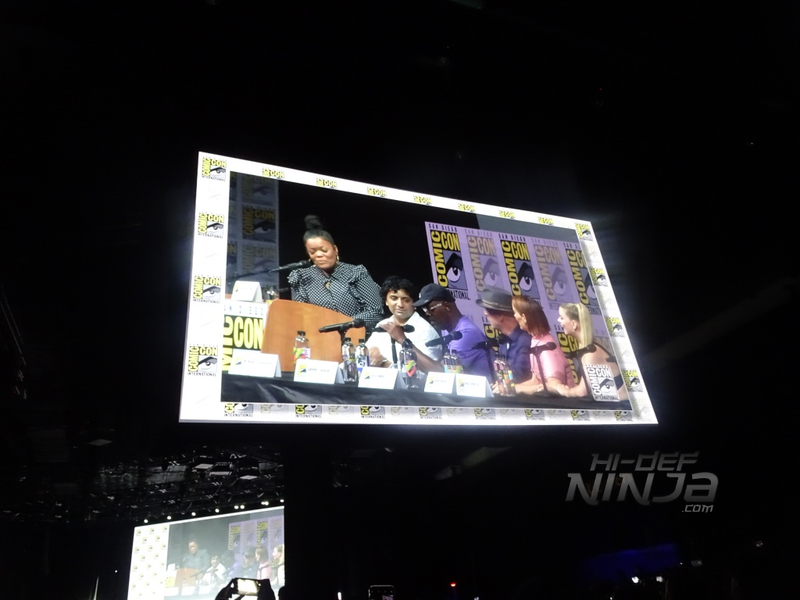 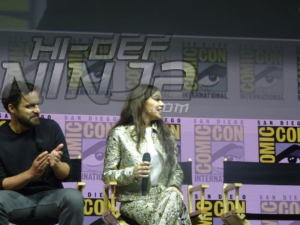 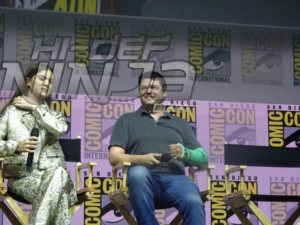 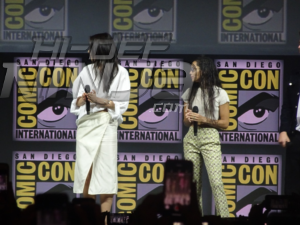 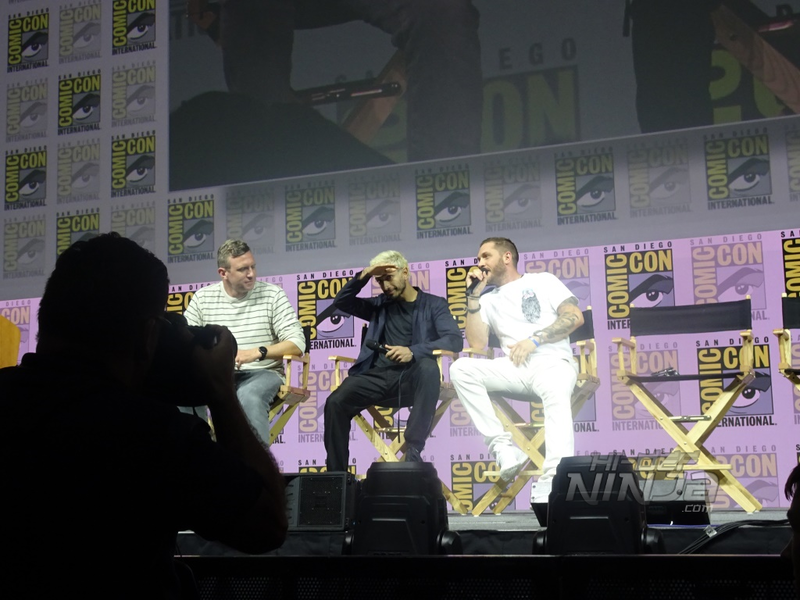 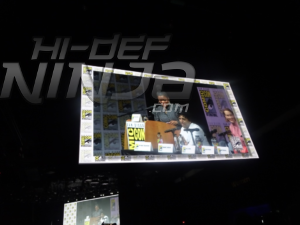 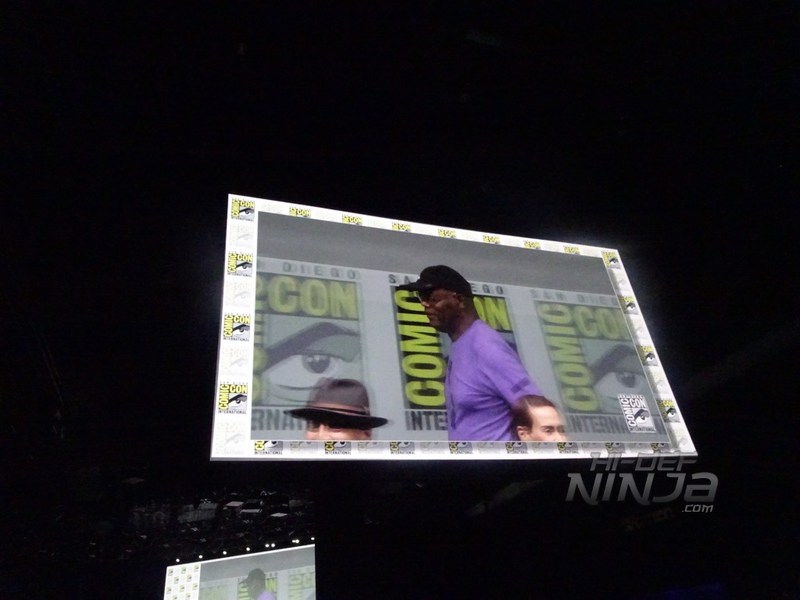 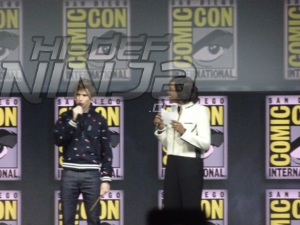 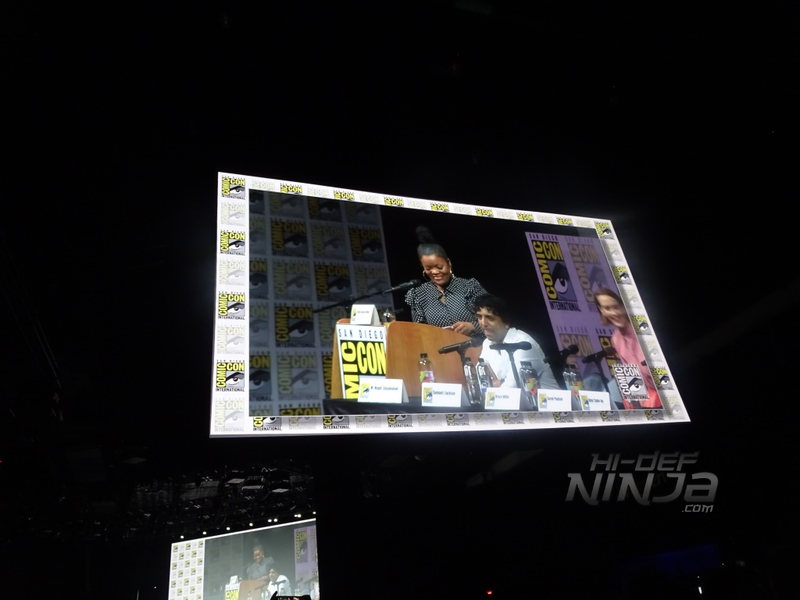 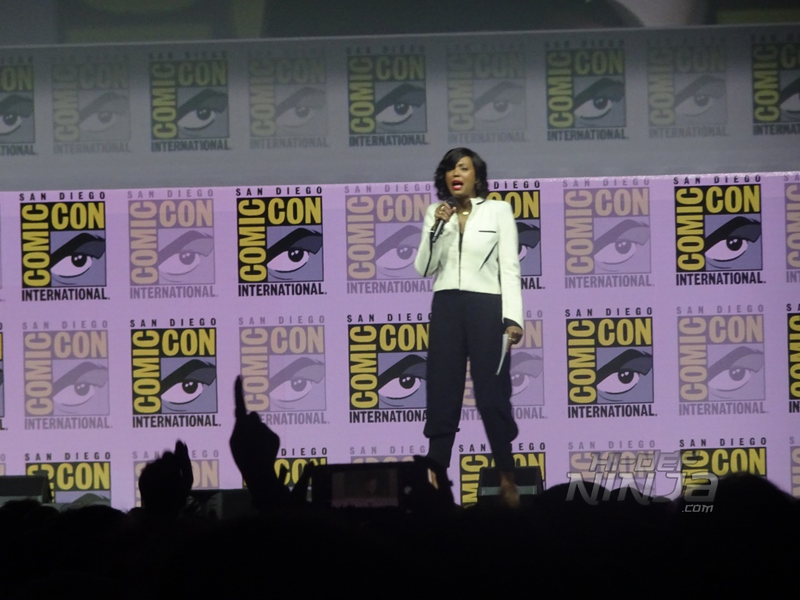 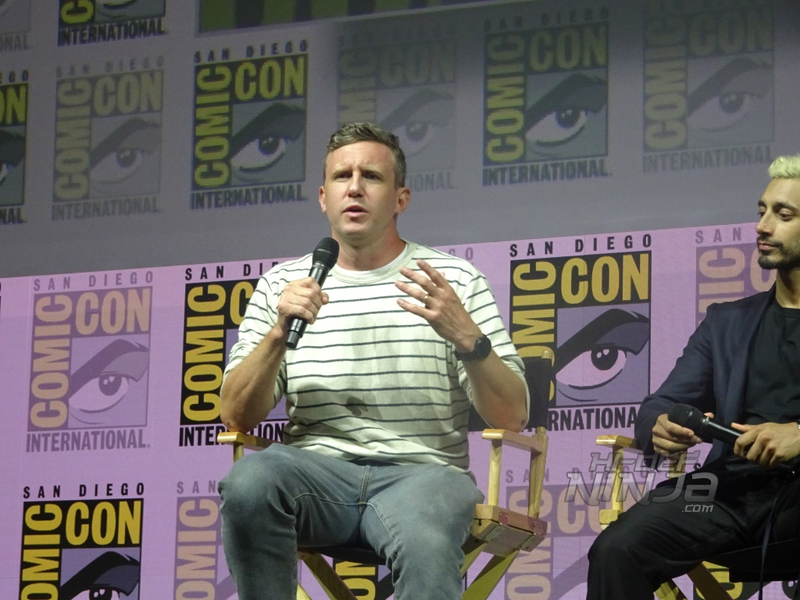 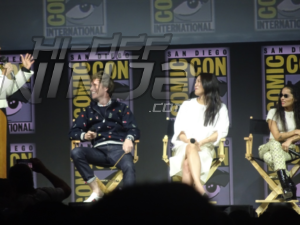 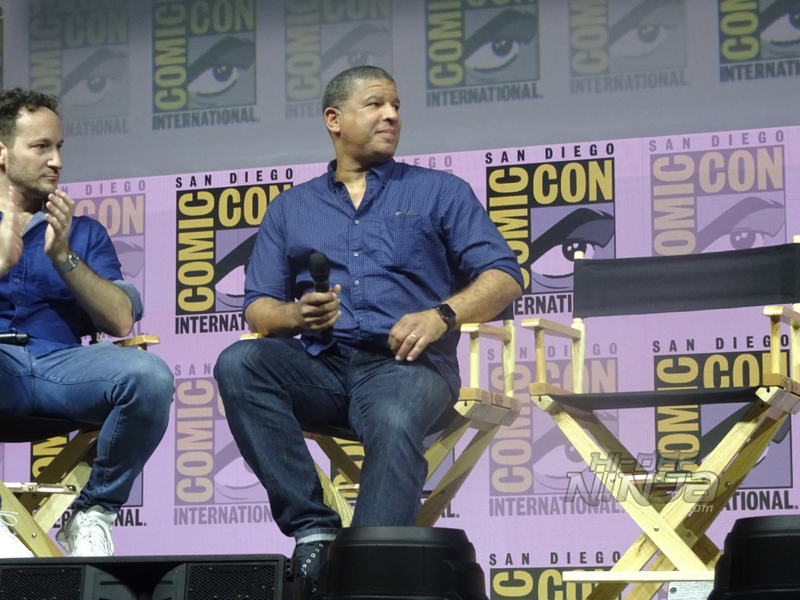 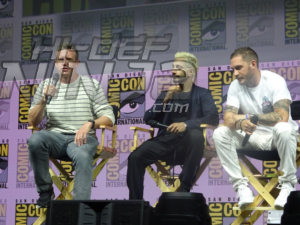 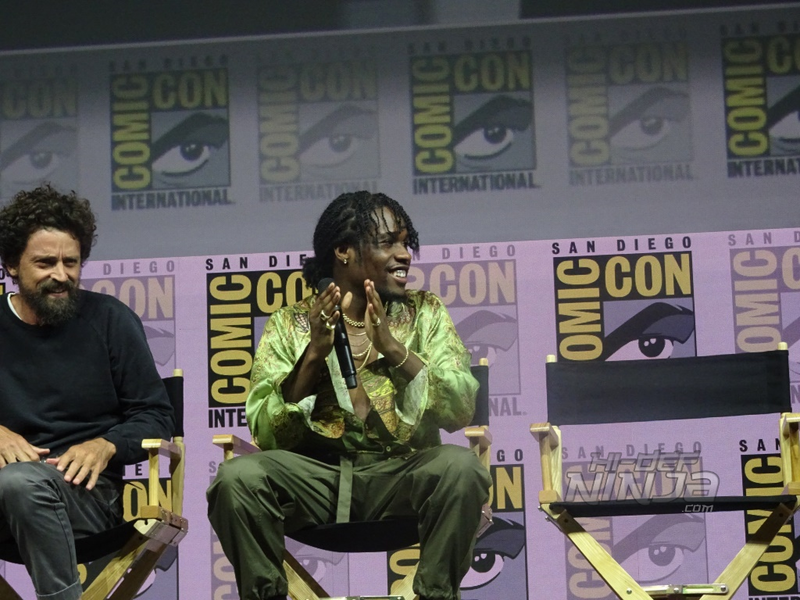 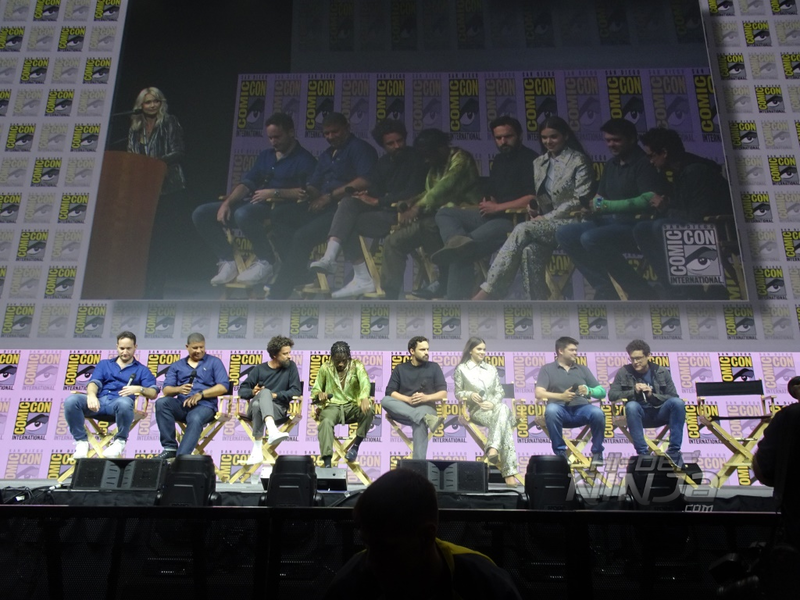 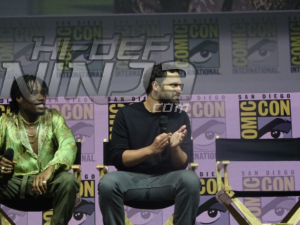 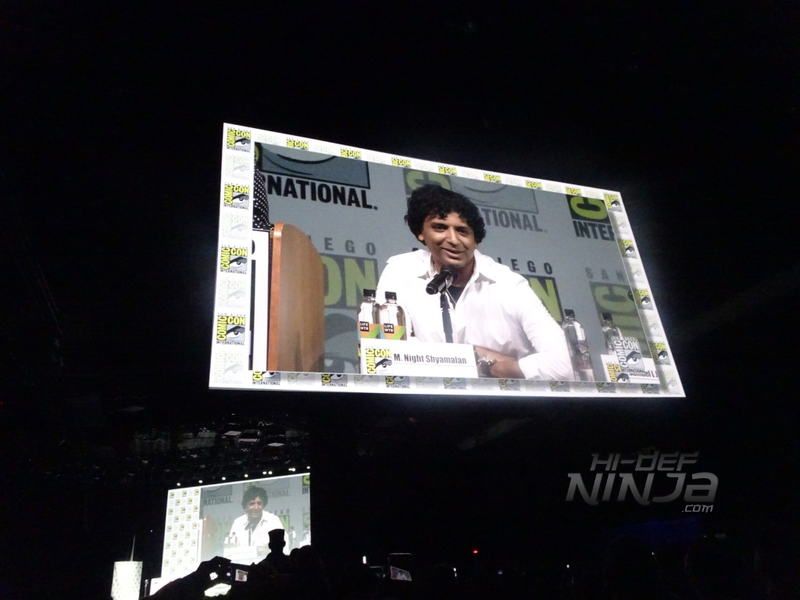 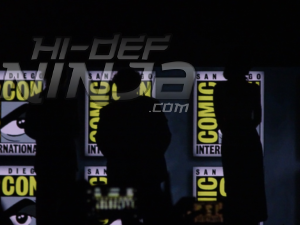 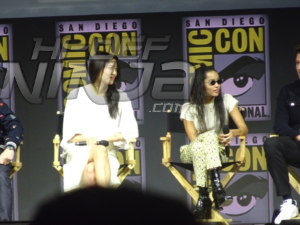 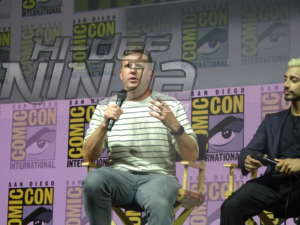 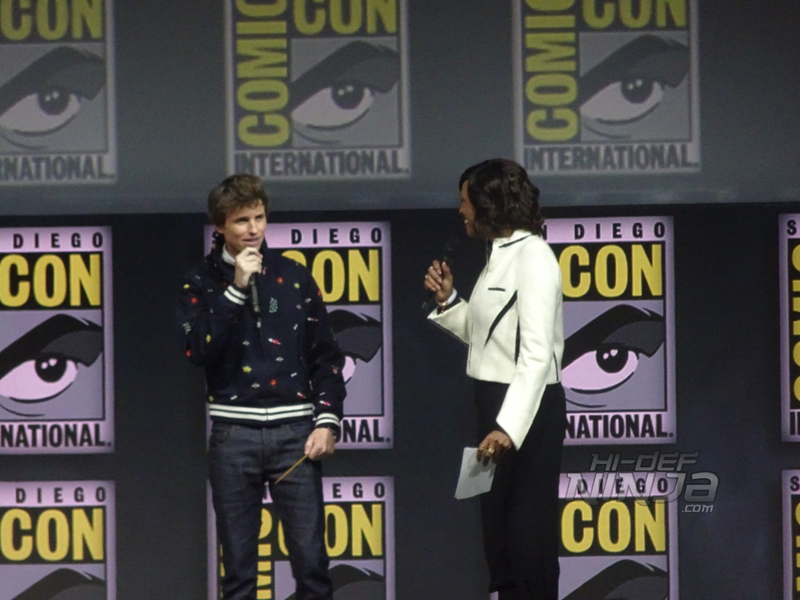 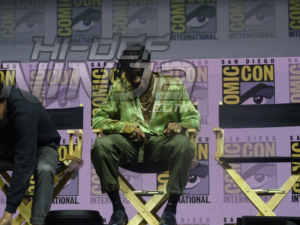 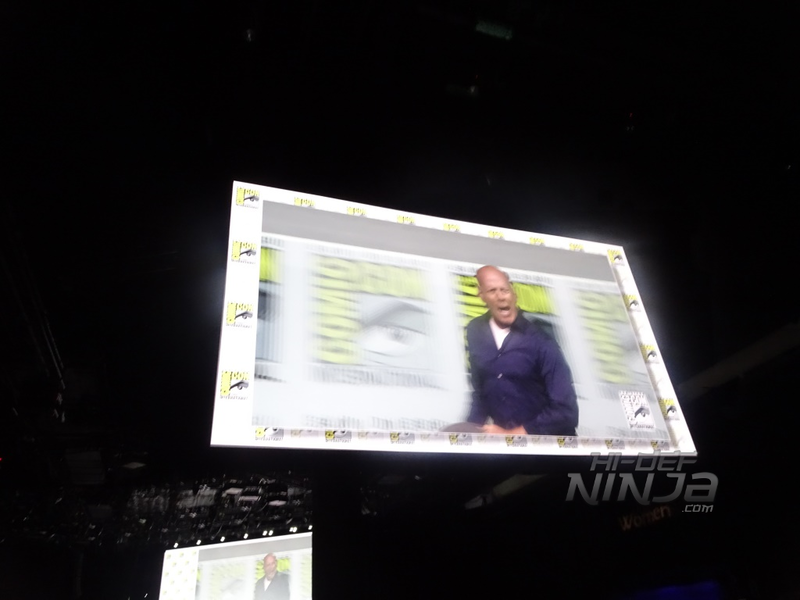 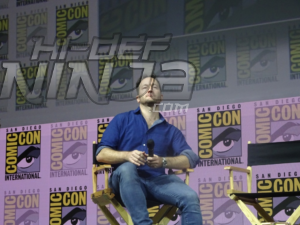 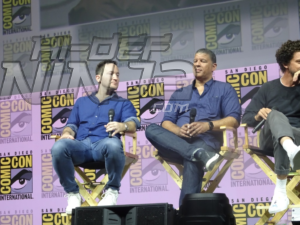 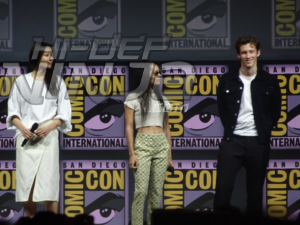 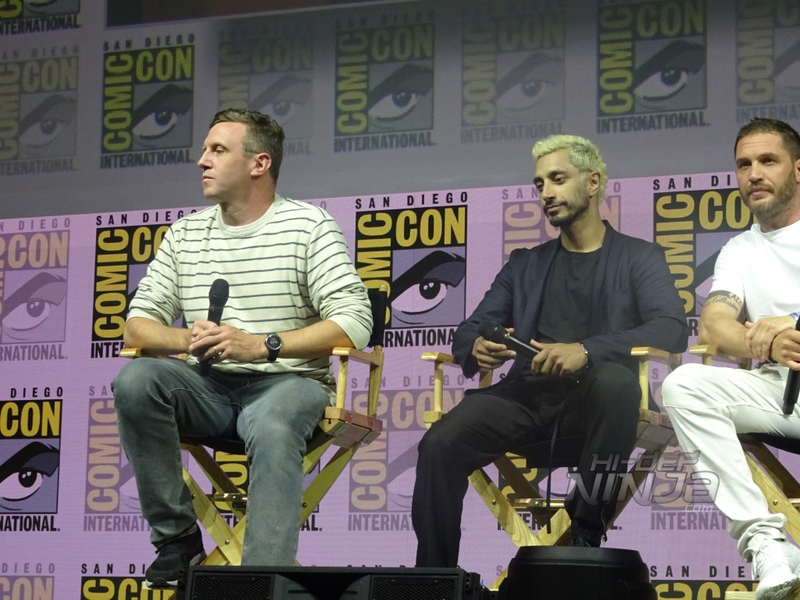 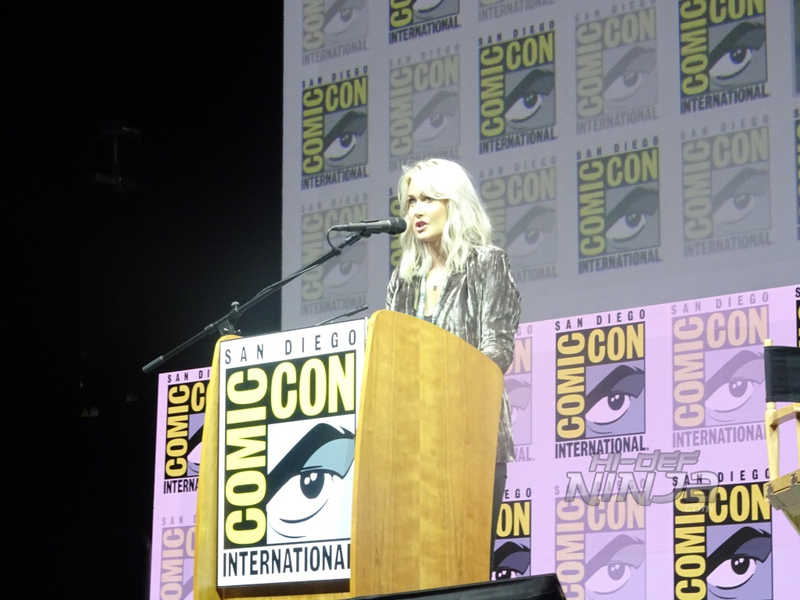 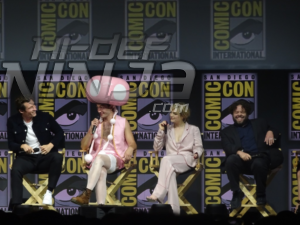 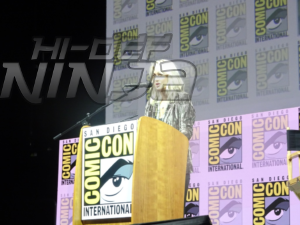 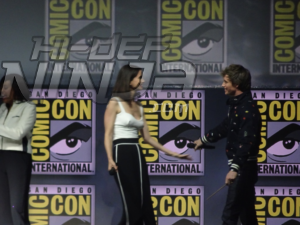 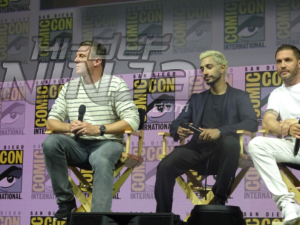 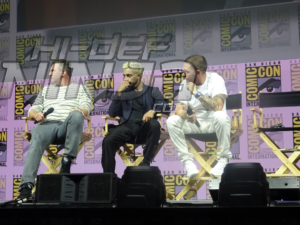 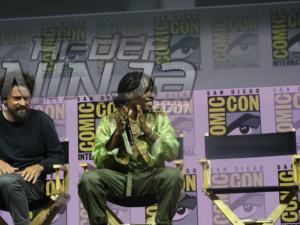 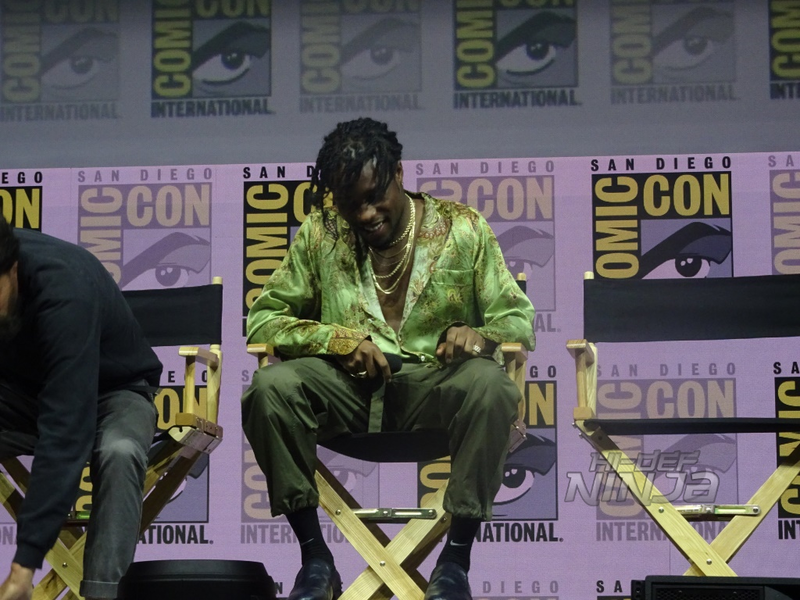 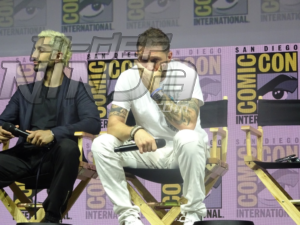 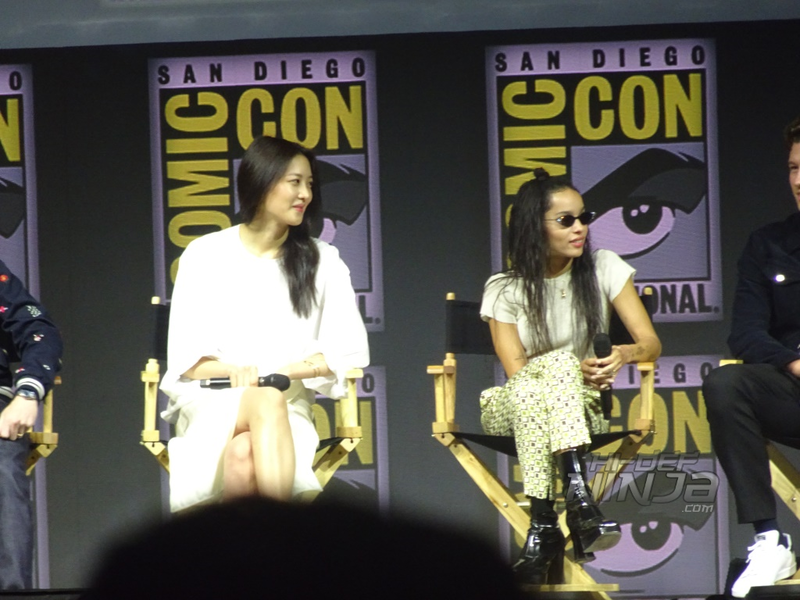 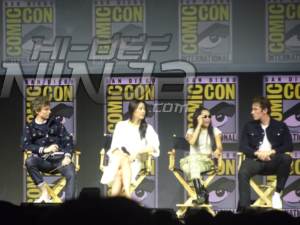 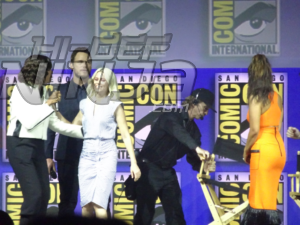 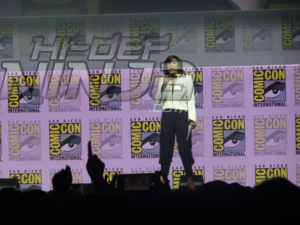 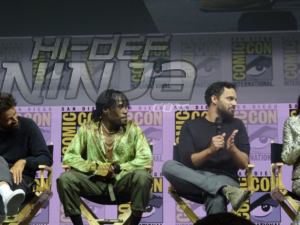 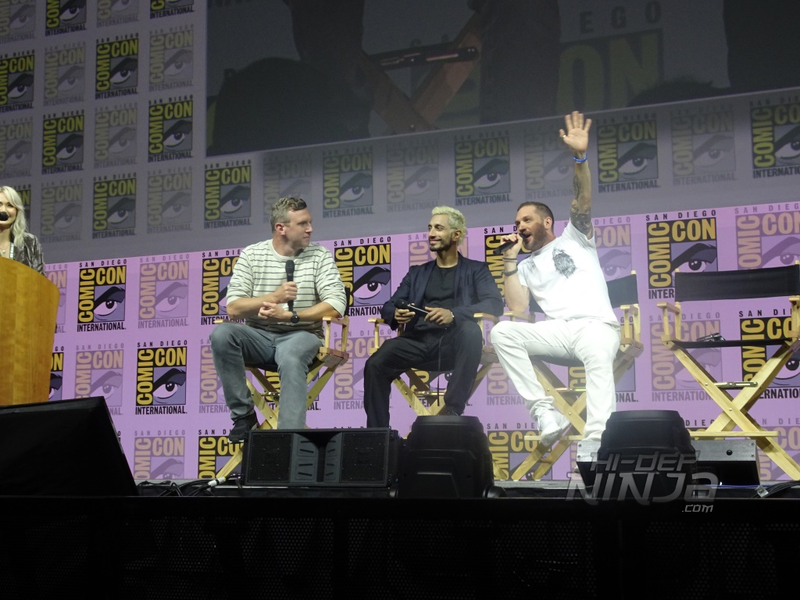 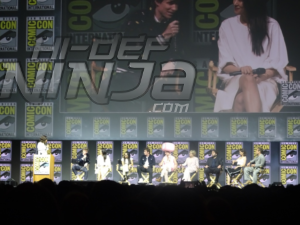 Filmmakers and actors from two of Universal’s most-anticipated upcoming releases- Glass, from M. Night Shyamalan, Bruce Willis, Samuel L. Jackson, and Sarah Paulson have a few riveting surprises in store for Comic-Con. 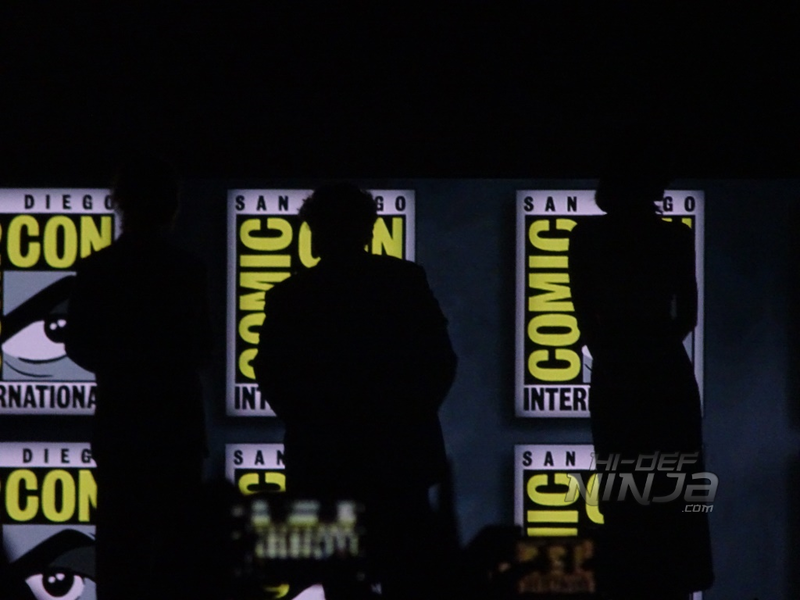 Sony Pictures will present two of their most anticipated films produced in association with Marvel. 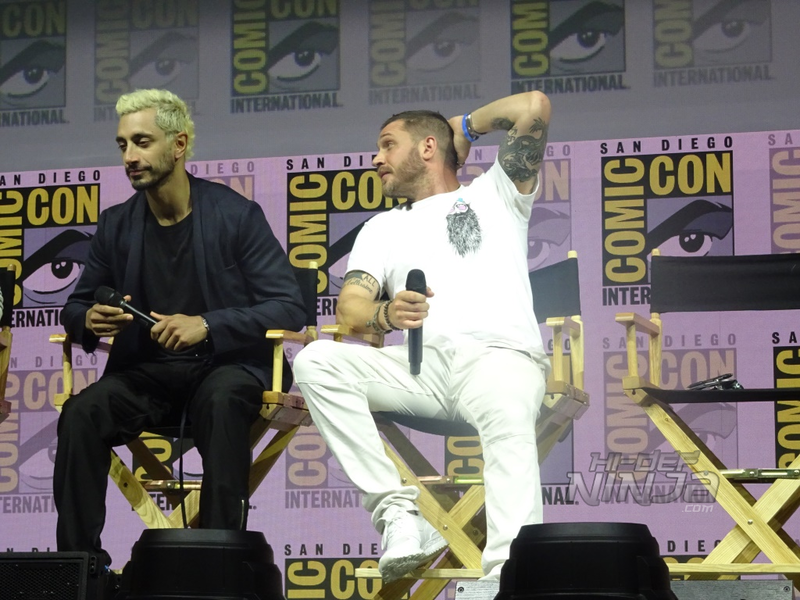 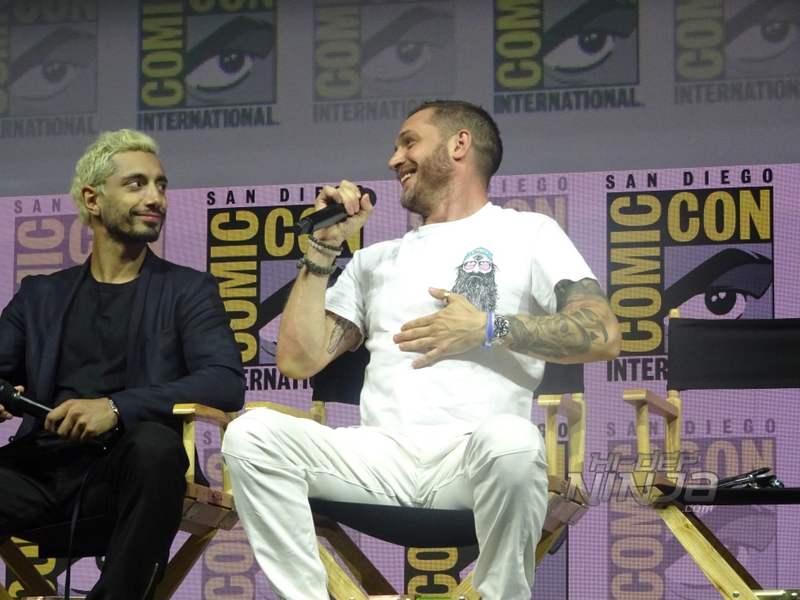 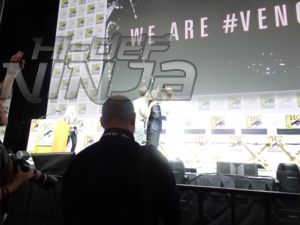 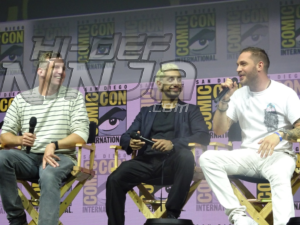 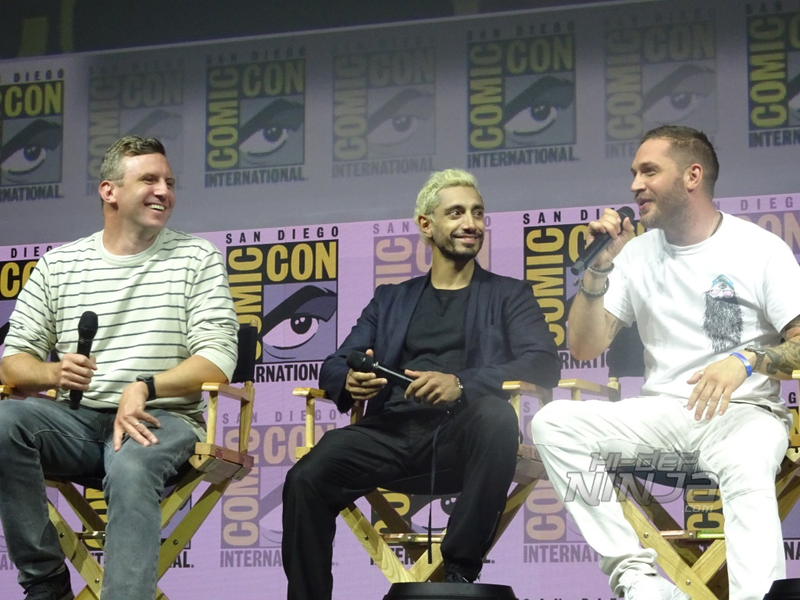 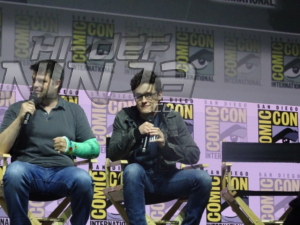 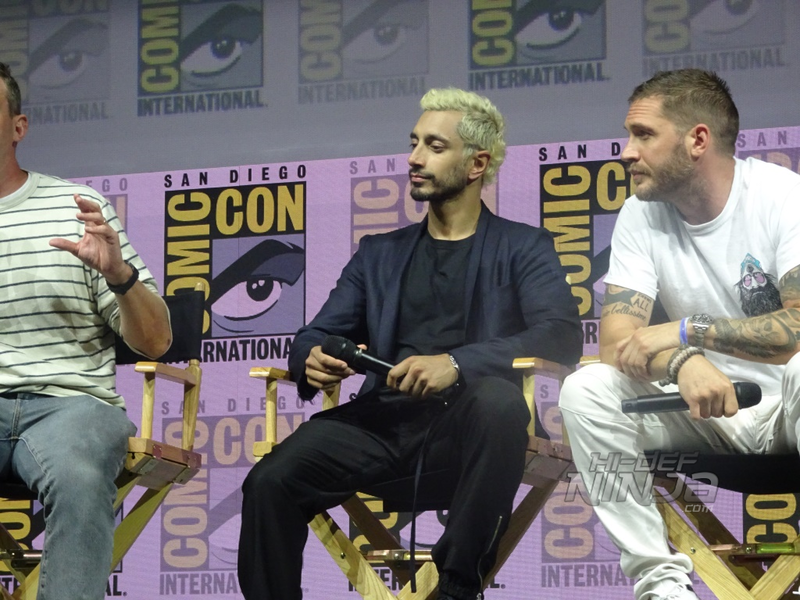 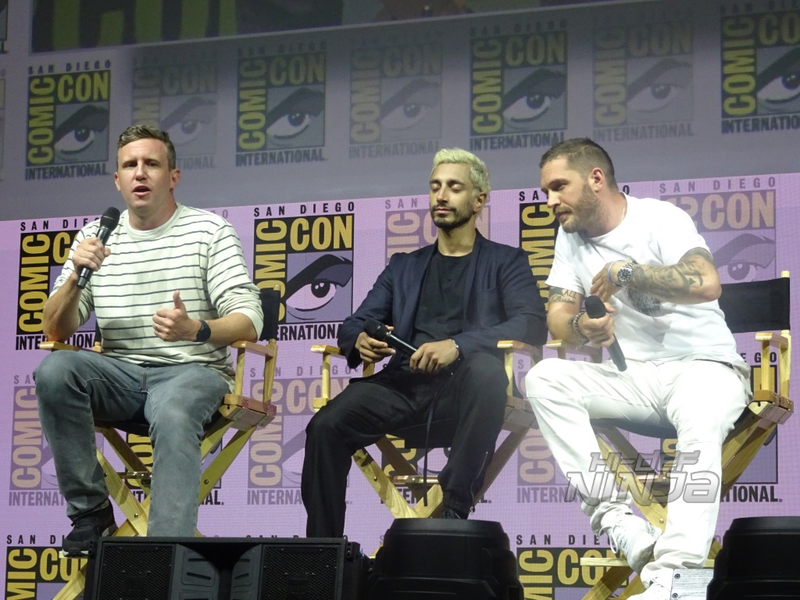 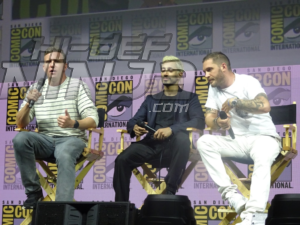 Venom filmmakers and Tom Hardy preview what’s in store as the lethal protector finally gets his own movie, and the creators of Spider-Man: Into the Spider-Verse will give the audience an inside look at the groundbreaking animated movie. 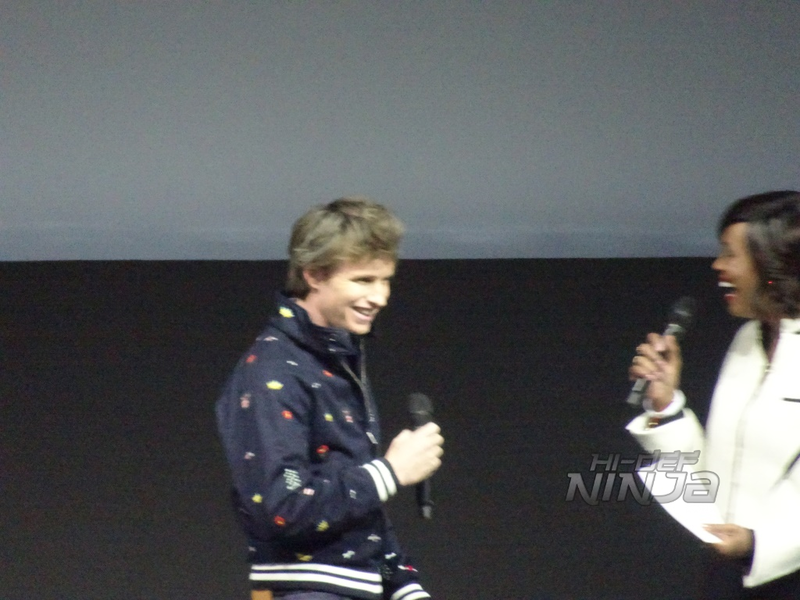 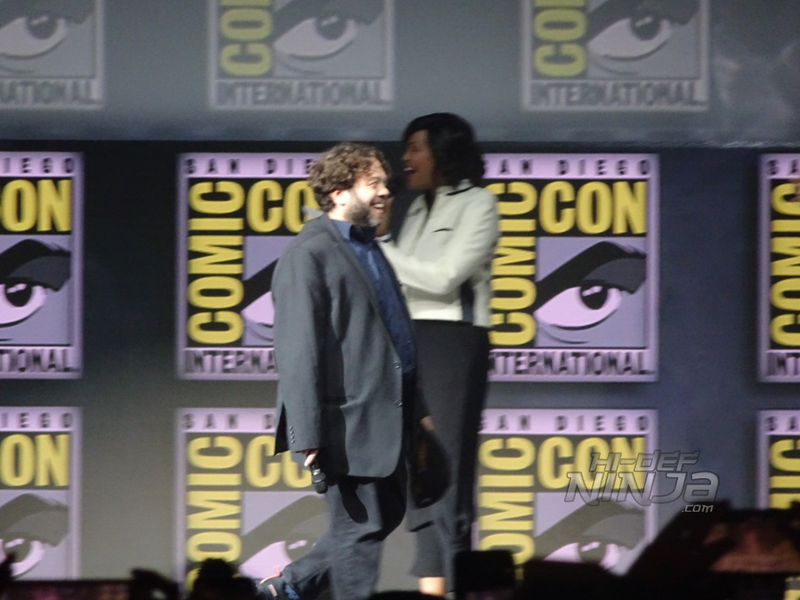 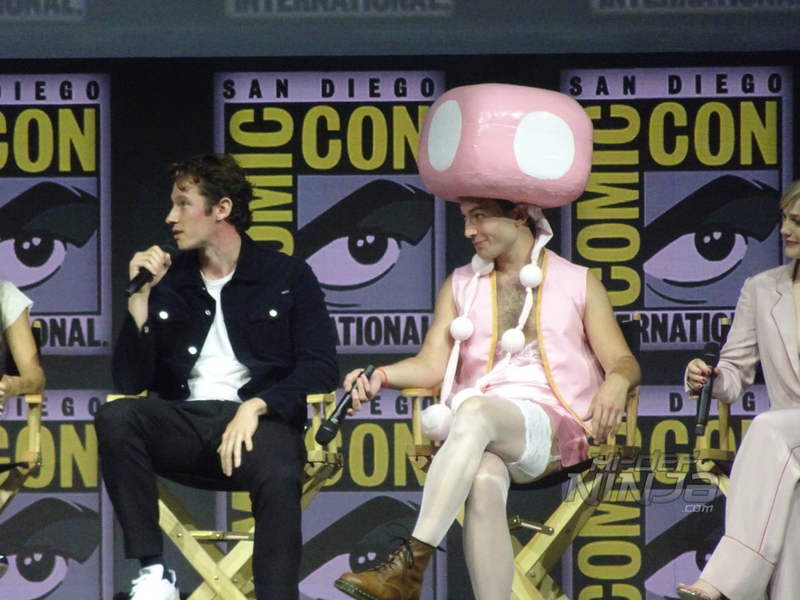 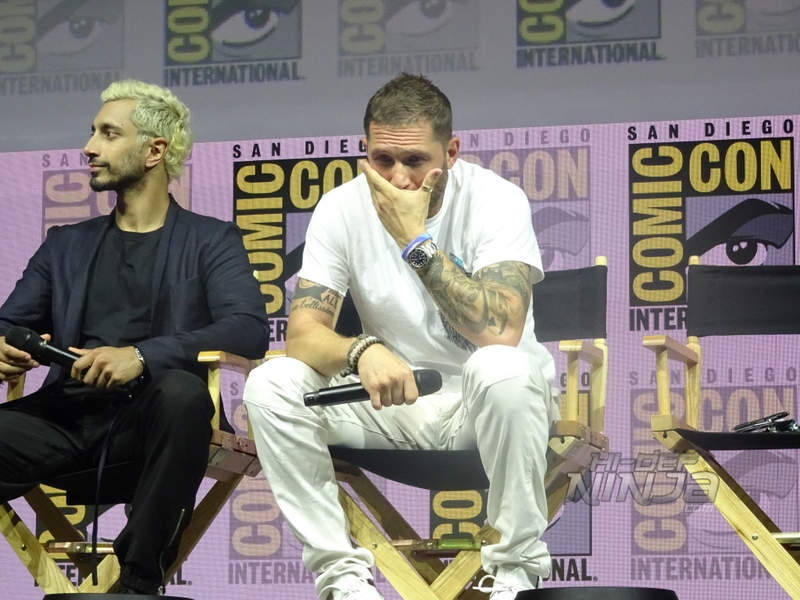 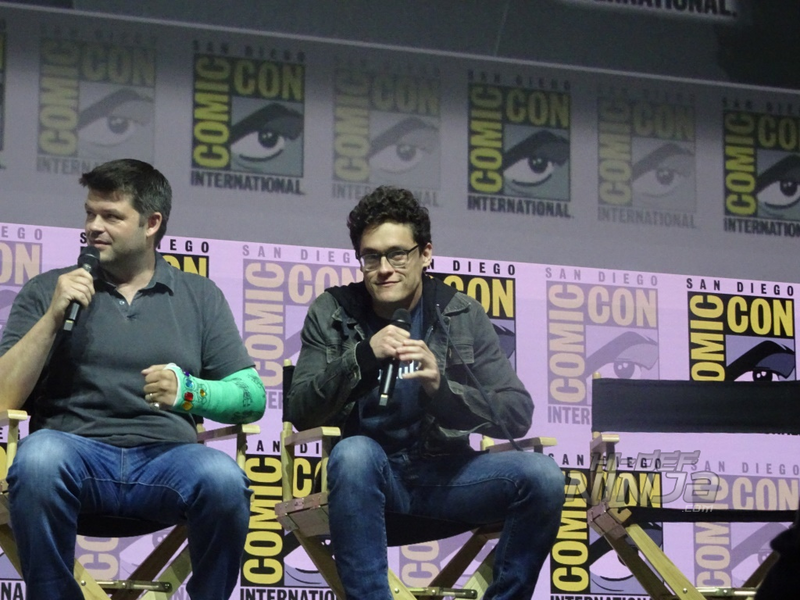 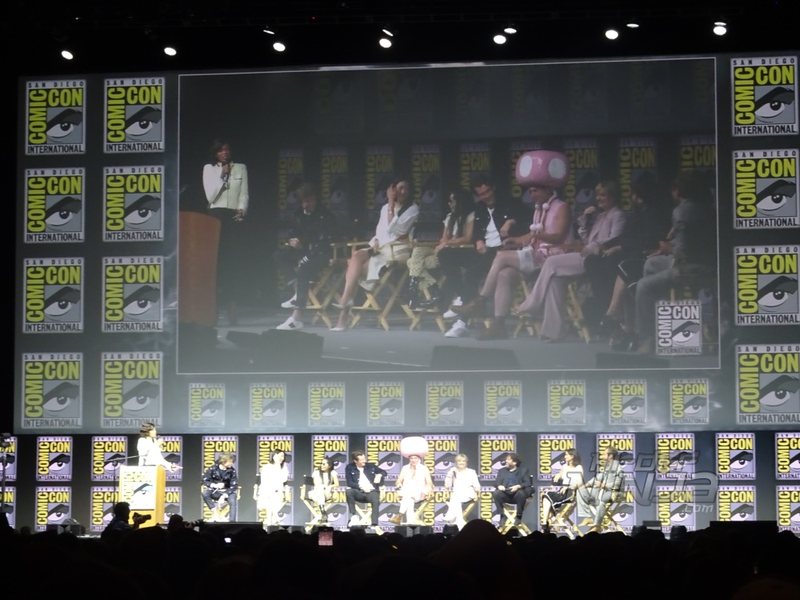 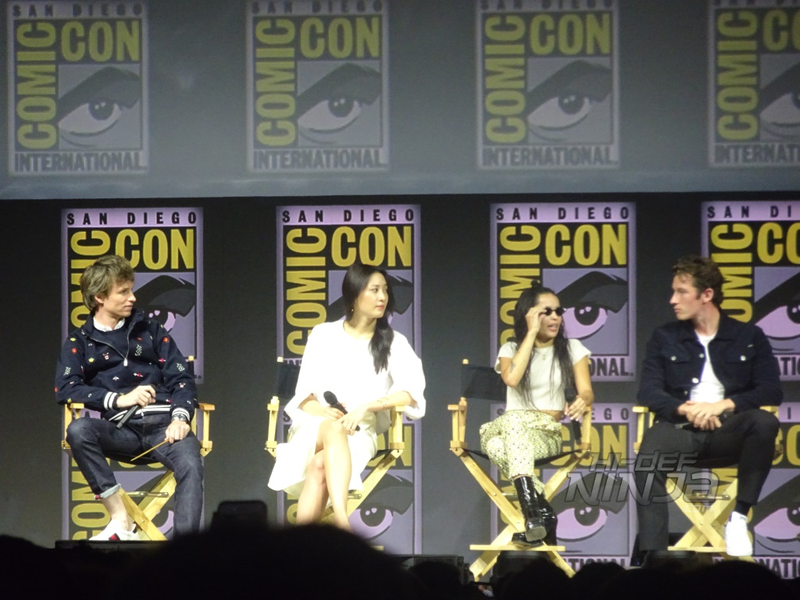 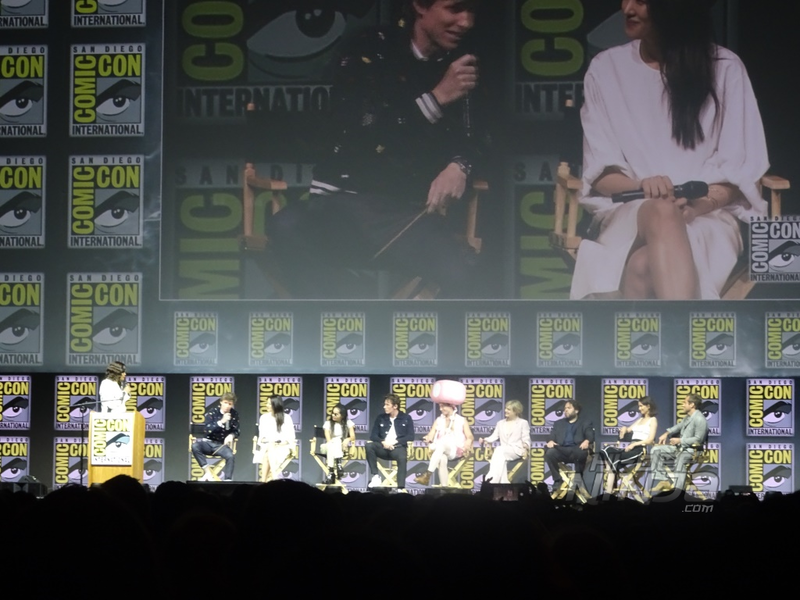 This panel featured more content but I only stayed in for the casts of Fantastic Beasts: The Crimes of Grindewald and The Lego Movie 2: The Second Part. 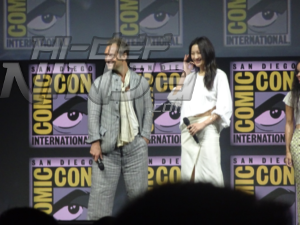 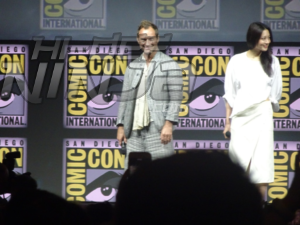 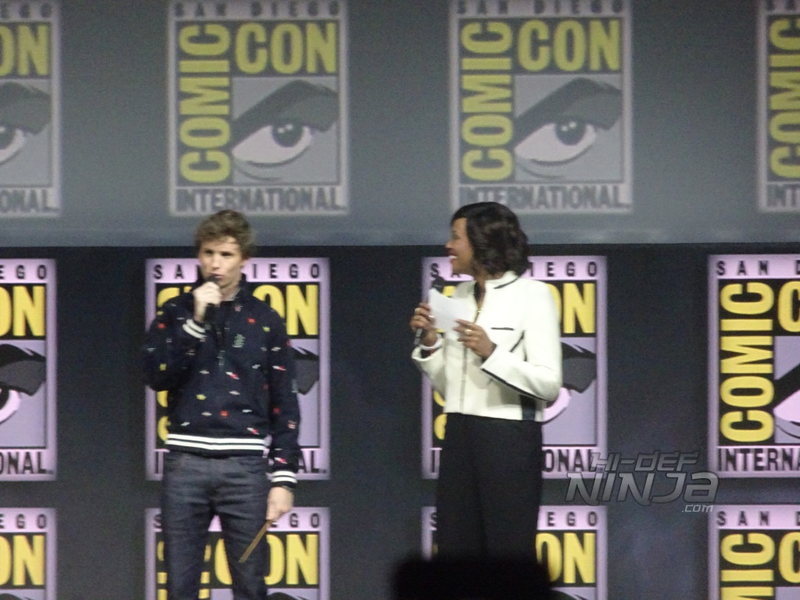 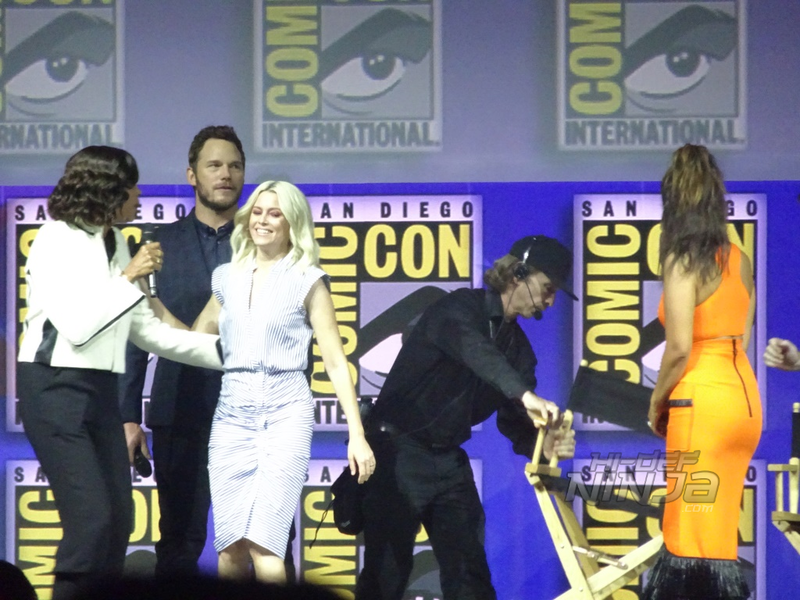 For the first time in his four year stint at Comic-Con I was able however to experience ConanCon in person, which is the reason I had to leave Hall H mid-WB panel so that I could pick up my tickets to the show. 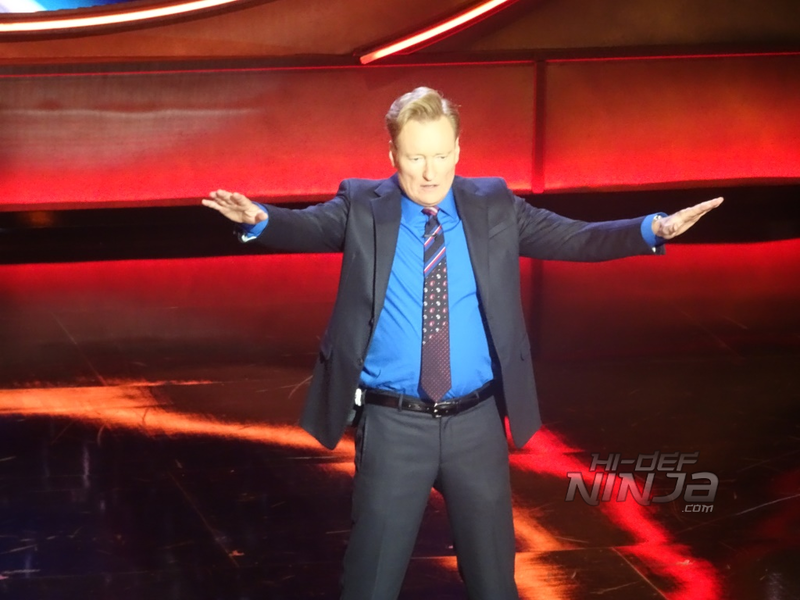 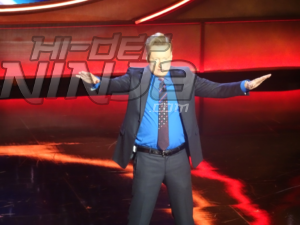 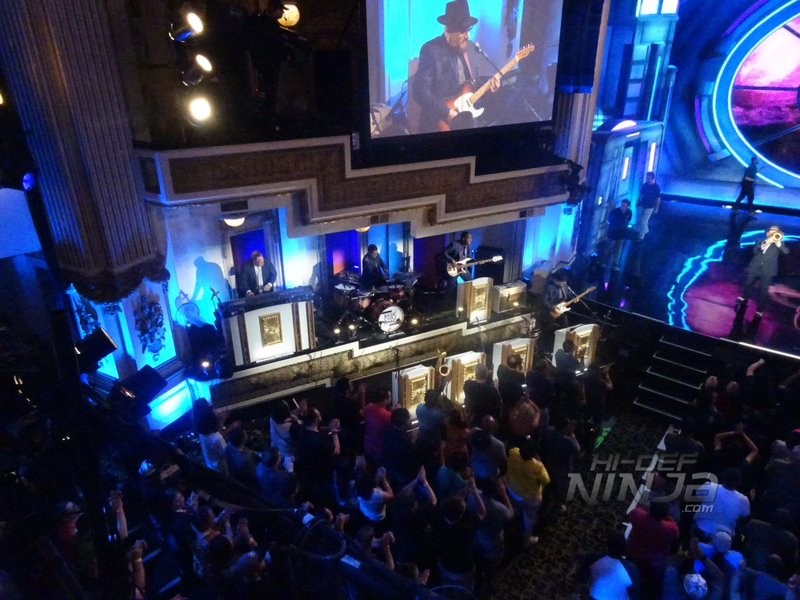 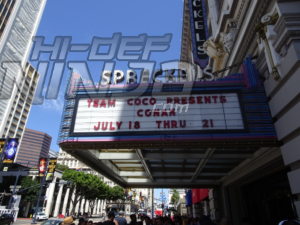 Each year Conan O’Brien comes to San Diego and does tapings from the convention. 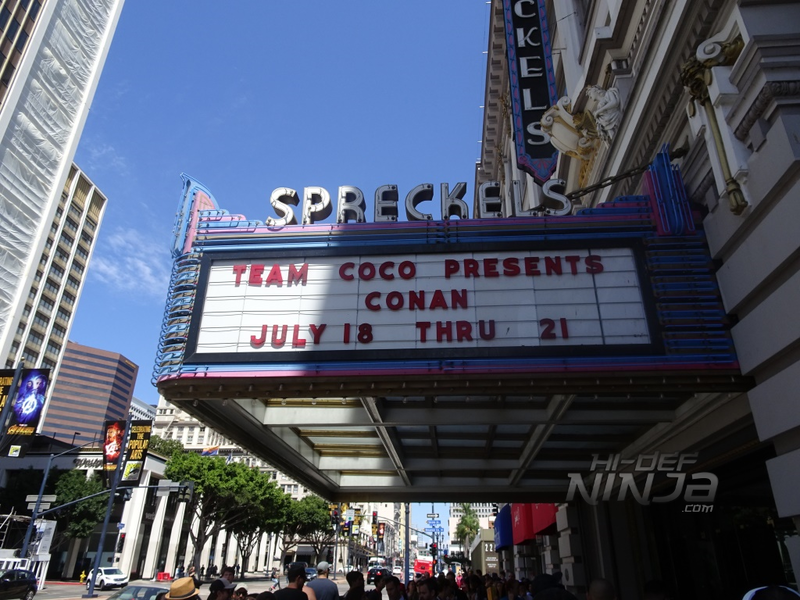 The tickets are hard to get but if you win you are treated to a free taping of the show and a cool limited edition Conan Pop. 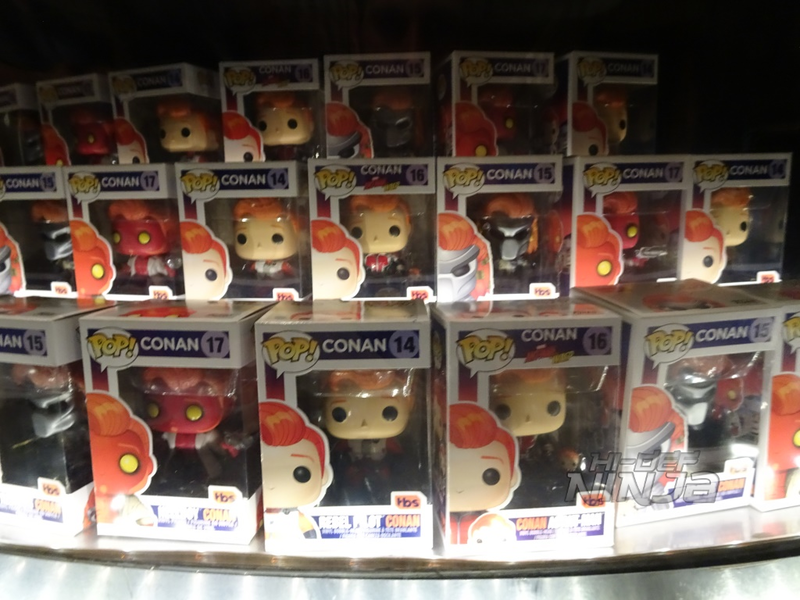 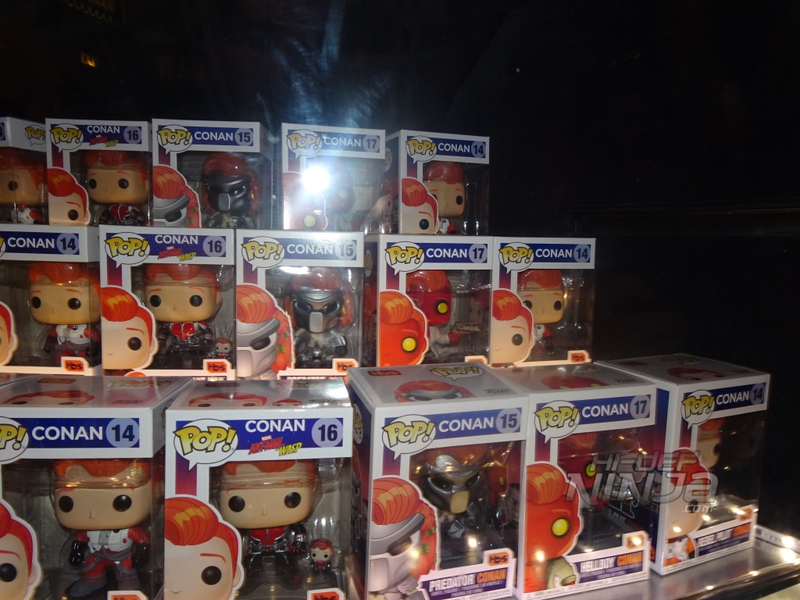 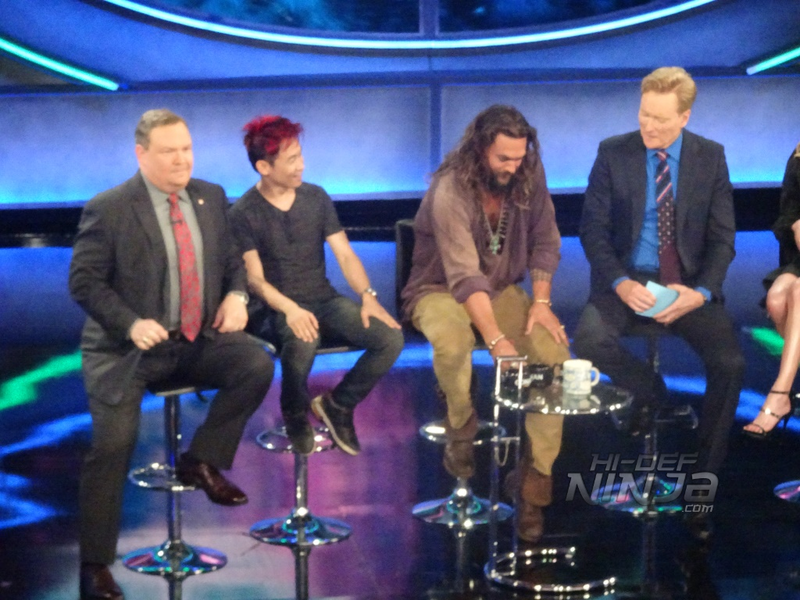 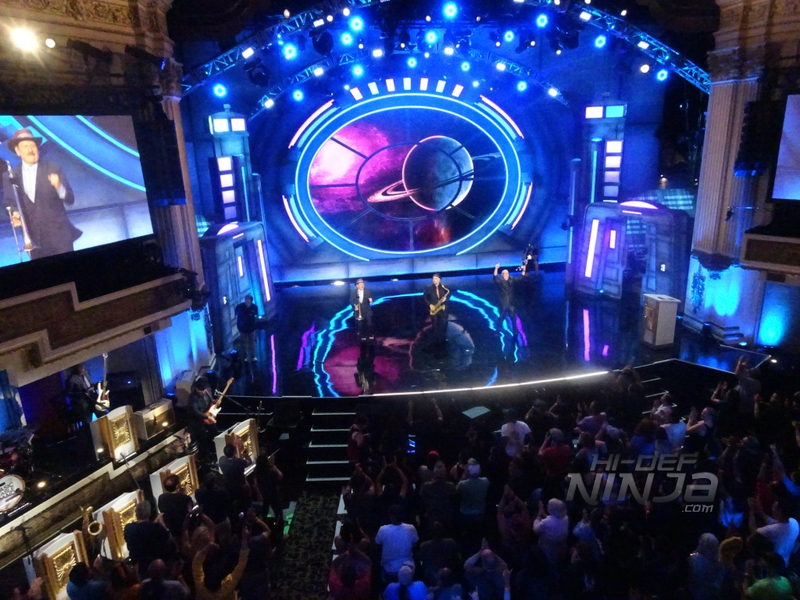 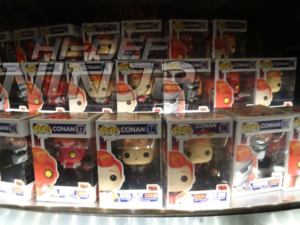 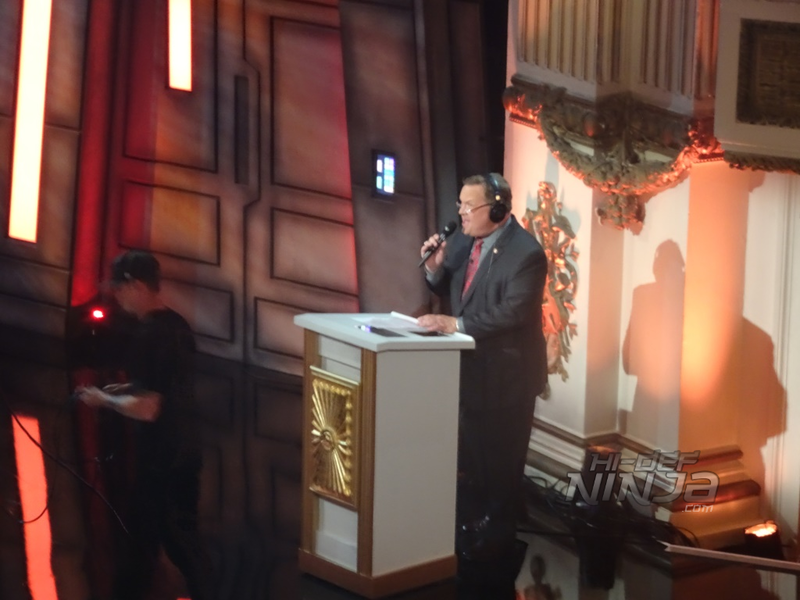 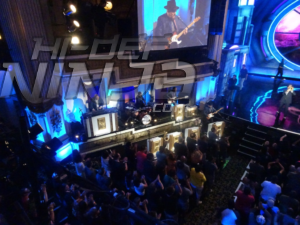 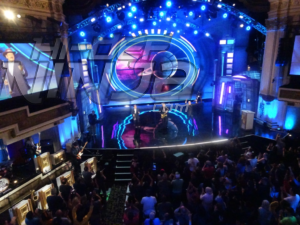 This years Conan tapings included the casts of Breaking Bad, Predator, Aquaman, and Glass while the limited edition Conan Funko pops were Rebel Pilot Conan, Predator Conan, Ant-Man Conan, and Hellboy Conan. 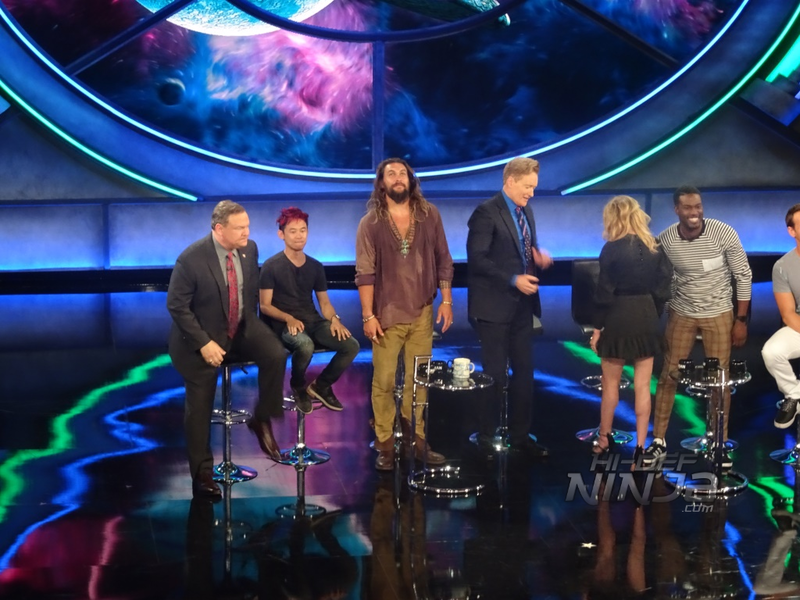 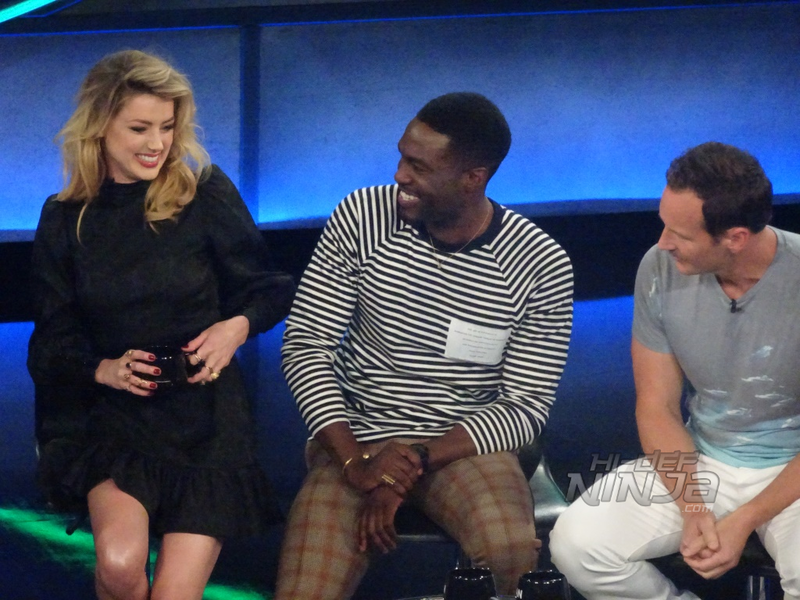 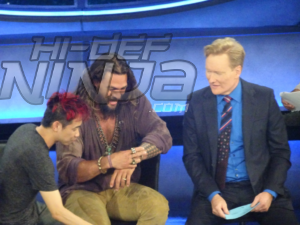 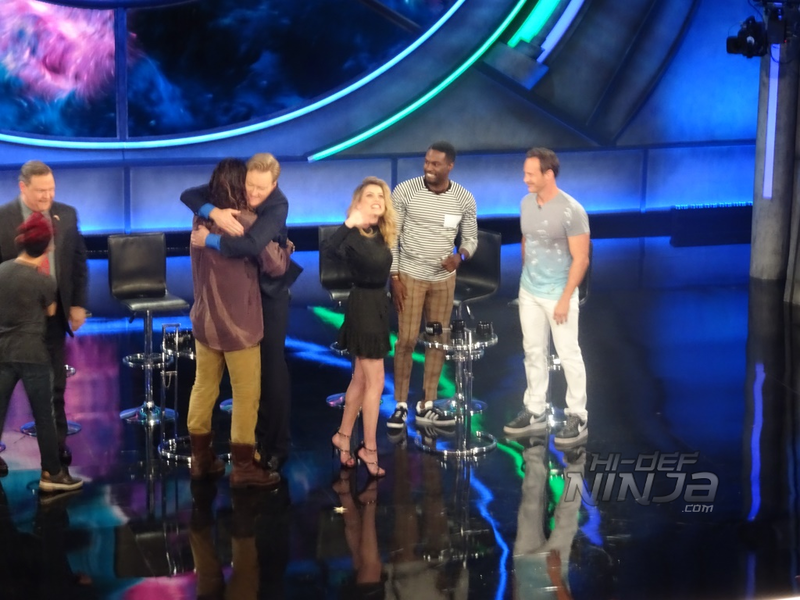 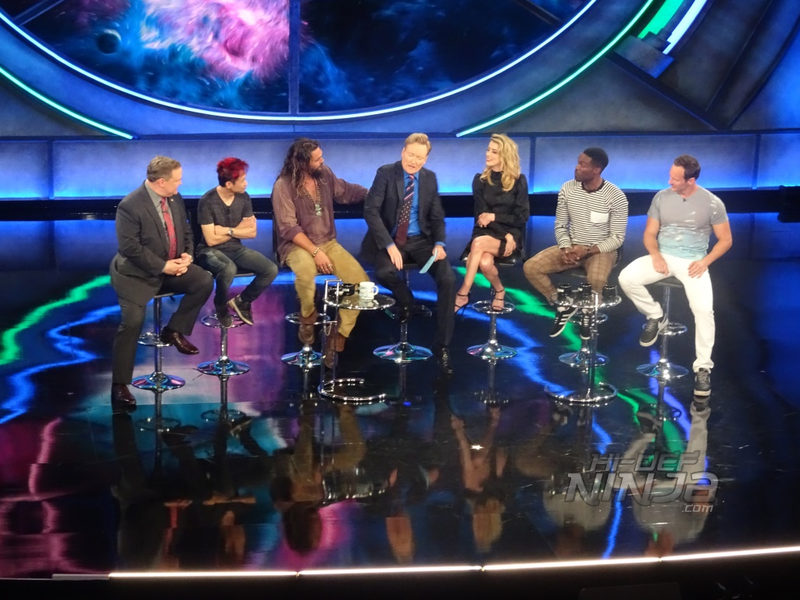 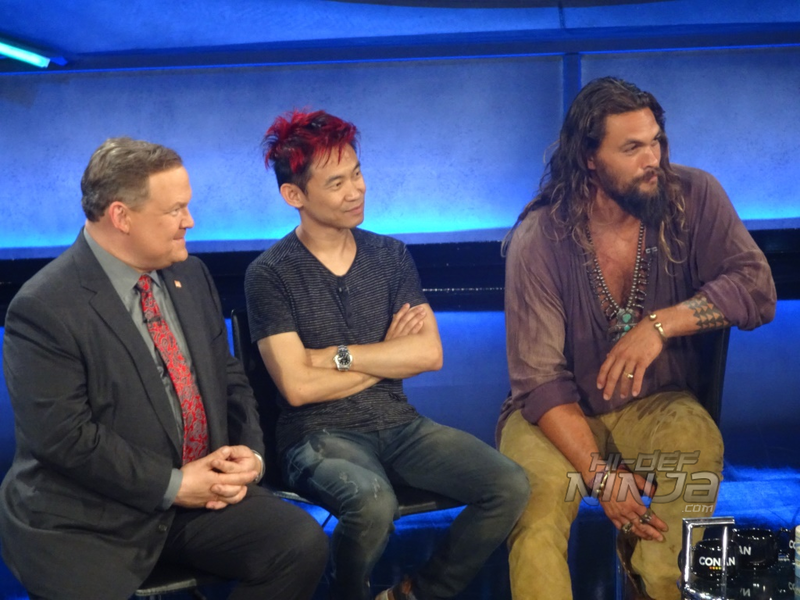 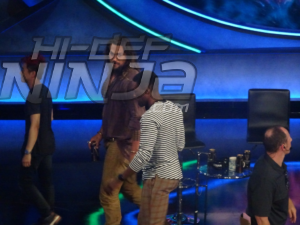 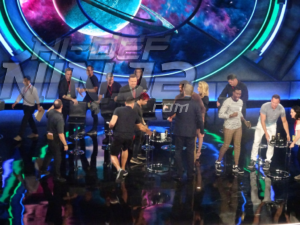 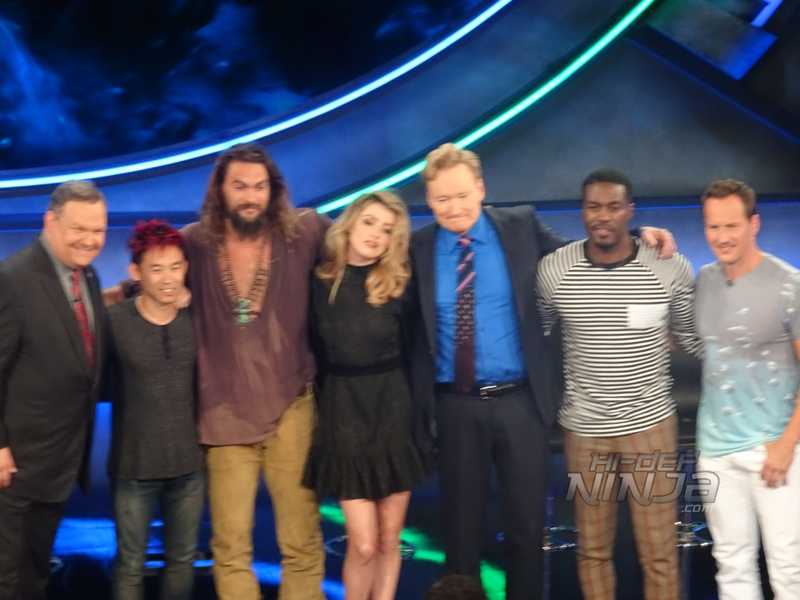 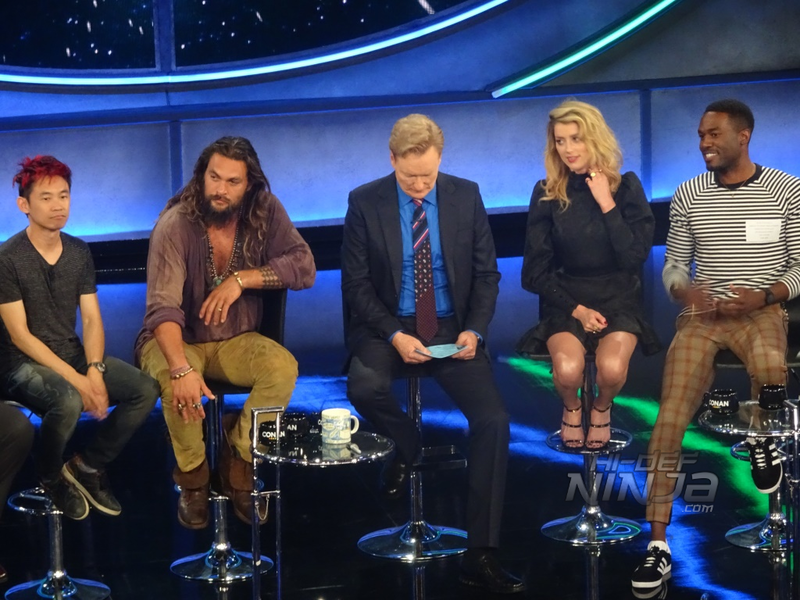 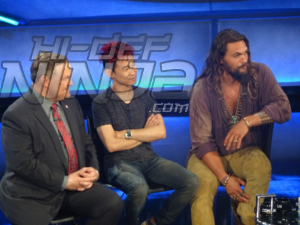 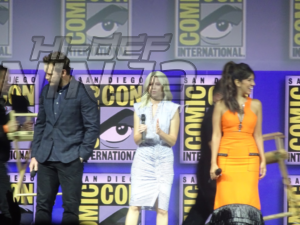 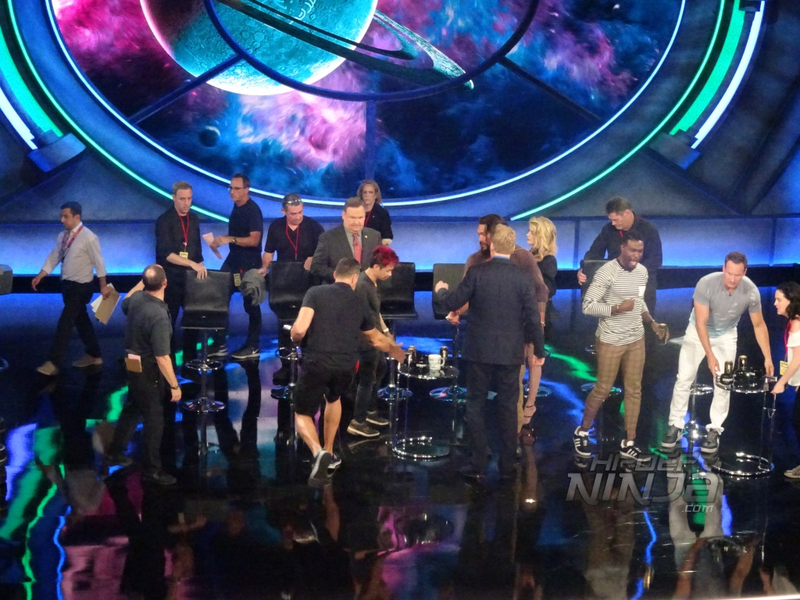 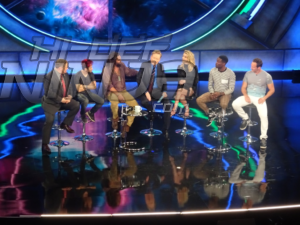 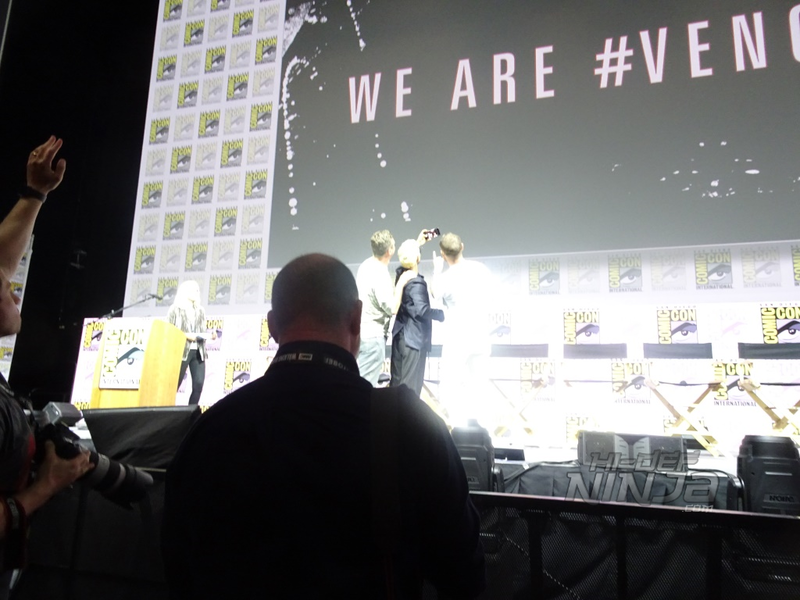 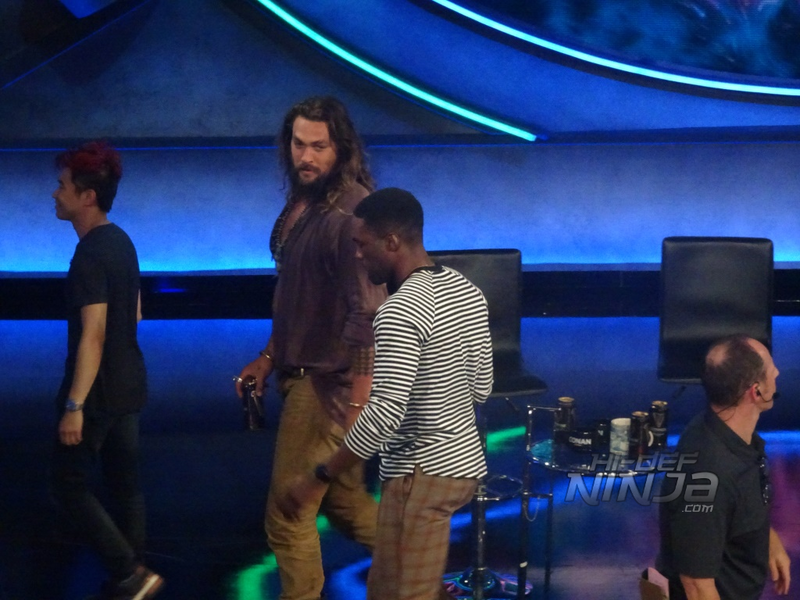 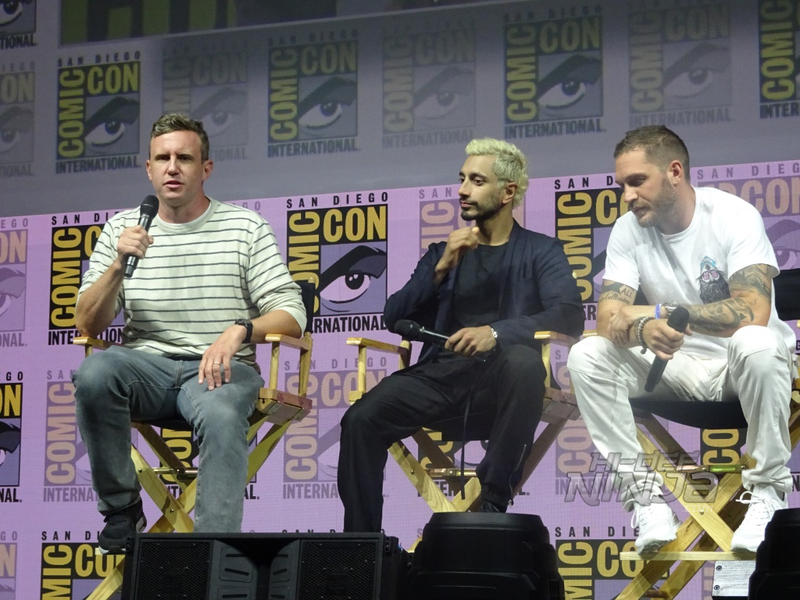 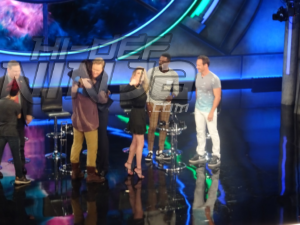 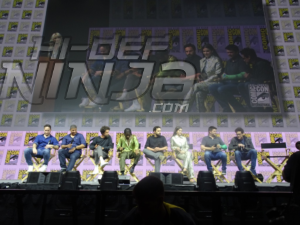 On Saturday, the day I attended, the audience was treated to the cast of Aquaman including Jason Mamoa, Amber Heard, Patrick Wilson, Yahya Abdul-Mateen II, and Director James Waan.